Classic Car Events and Car Shows provide great entertainment for all the family and give you the opportunity to view some stunning classic cars. The Classic Car Events are Australia wide and to view all events and details SCROLL down the page. If you would like your event featured on Classic Car Gurus please click here. 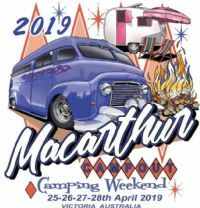 The Macarthur Campout 2019 is being held on April 25th, 26th, 27th and 28th at the Macarthur Recreation Reserve. Hotrods, vintage caravans, chrome bumper and motorbikes camping weekend. Thursday 25Th - Setup your campsite then a schnitzel and parma night at the Macarthur Hotel. Friday 26th - Bench session at the big fire, band Leather and Lace. Saturday 27th - Miss Macarthur Pinup comp junior, adult lad , exotic lady sections. Big fire with band Bluegum. Sunday 28th - Cruise to local attractions. Movie night and big fire. For more info see this link. The Anzac Day Car and Bike Show & Shine is presented by the All Wheels Classic Automobile Club and is being held on the Football Oval, Park Street, Epping. Gold coin donation entry for the public, $10 entry per car. Trophies on offer, catering on site, kids entertainment and live band. Come down, bring your ride and the family. On the Anzac Day Long Weekend, April 25-28, 2019 will see us all celebrate the 50th year of the Ford Capri the ‘Car you Always Promised Yourself’. The Capri Car Club Inc. (in Vic) along with fellow Capri and Small Ford Car Clubs around the country, invite you to attend and: Mark 1 Capri - 50th Anniversary along with Mark 2 Capri - 45th Anniversary, the Mark 3 Capri - 40th Anniversary and the Capri Convertible - 30th Anniversary. Events include, Meet N Greet BBQ dinner, organised cruises to Rutherglen and Beechworth, dinner and trivia night with international guest speaker and display Show & Shine at Hovell Tree Park in Albury on Saturday 27th April. For further information E-mail: capriciation@hotmail.com or call Terry on 0408 519 155 or Pete on 0419 729 826. The National Bug-In is the coming together of various Volkswagen Clubs in Australia to partake in a long weekend of camaraderie and friendly competition. The 50th Golden Anniversary Bug-In 2019 is to be held in the Albury Wodonga region the weekend after Easter from 26-29 April 2019. The event is held primarily for the benefit of VW Club members and enthusiasts throughout Australia. The events usually include a welcome get together, show and shine, MotorKhana and other motorsports events like Lapdash and Khanacross (although more recently motorsport has taken a back seat or dropped off due to cost and other constraints), presentation dinner, observations runs, convoys and farewell activities. SIX ONE is a celebration of Australian custom automotive culture. Hosted by the creators of Fuel Tank and Return of the Cafe Racers, SIX ONE is a showcase of Aussie built 4 and 2 wheeled custom creations. SIX ONE is the first event of its kind in Australia. There will be no restrictive themes or rules limiting which vehicles will go on display. Instead, SIX ONE will bring together a diverse mix of various genres, styles, and disciplines from all walks of the Australian custom scene. SIX ONE 2019 is set to take place on April 27th, 2019 and is generously supported by Ryno Insurance Services Pty Ltd, Antique Tyres, Segura and SHARK Helmets. If you'd like to submit your vehicle for display, head to our website and fill out the entry form. Bribbaree Show n Shine is being held at the Bribbaree Showground on the 27th April 2019. This is a bike, car and truck show n shine. Register by 10am, trophies on offer in over 10 categories. Other events on the day include lawn mower races, vintage tractor pull, stalls, full catering on site, bar and camping facilities. Info Dean 0488 753 698. The 10th Annual Kenilworth Hotel Classic and Custom Car Show is being held on Sunday 28th April 2019 at the Kenilworth Hotel. Cars must be 30 years old to enter. Kicks off at 10am. Best custom, original, van, sedan and ute and Peoples Choice trophies. Live rock n roll music, market and trade stalls, kids entertainment. All clubs welcome. Info 5446 0206. Cobram Country Cruisers are holding the MV Motorama on Sunday 28th April 2019 in Federation Park. This is a family friendly event featuring a show n shine for cars and bikes. Kids entertainment, catering on site, strictly no BYO. Entrants $10 per car, public gold coin entry. Kicks off at 8am. Various trophies and prizes to be won. Raffle prizes will be drawn throughout the day, lucky door prize for spectators and entrants. BBQ food and drinks will be available, including barista style coffee. Trophies will be awarded at 1:30 pm. Come down and support your local community events. Join us for the 2nd Annual Dundee Show 'n Shine @ 11am for a fun day of live music, raffles, jumping castle and all day dining at the Lodge of Dundee. $5 for participating vehicles. Funds raised will go to the NT Volunteer Coast Guard. Cars participating meet at Bakewell Shopping Centre Car Park from 9:45am for staggered group depature. Classic Holden Car Club Members encouraged to RSVP via your automated email invite. Proudly brought to you by the Classic Holden Car Club of the NT, the Classic Ford Club of the NT and Dundee Lodge. All car clubs welcome to participate in this event. The 46th Annual General Motors Display Day is on Sunday 28th April 2019 and is open to all Buick, Oldsmobile, Cadillac, Chevrolet, Oakland, Pontiac, Vauxhall, Holden 48 and FJ only, Opel, Bedford cars and commercials. Gates open from 8am, free public admission, entrant vehicle $15. Drinks and hot food available. Contact Gordon 0409 677 116. Muscle in Maculata is being held on Sunday 28th April 2019 at the Maculata Family Park, Mitchell Street, Riverview from 10am. All classics.muscle cars, hot rods welcome. Market stalls, entertainment, food trucks, free rides for the kids. Cars, bikes and more cars. The Roseworthy Hotel Show N Shine is being held on the 28th April 2019 at the Roseworthy Hotel located at 435 Horrocks Highway. $15 to enter your Car or Bike. We advise you to pre enter to guarantee your spot. Entry forms can be emailed to you or you can pick one up from The Roseworthy Hotel. Free entry to the public, food all day. Live music from 2pm to 6pm. All money raised from entries and raffles is donated to SA Dog Rescue. The Swan Hill Swap Meet is hosted by the Swan Hill Vintage and Classic Vehicle Club and is being held on Sunday 28th April 2019 at the Swan Hill Showgrounds. Automotive parts and collectables welcome. Sites available at $20 per site, park and sell vehicles $10 per vehicle. Entry for lookers $5, children under 12 free. Gates open 7am, buyers 8am. Info Michelle 0409 185 906. The Pakenham Motor Sport & Car Show is on again in 2019, so we are looking for all forms of motor vehicles to come along from race cars, rally, touring, speedway, drag, drift, burnout vehicles and of course the traditional show cars even vintage cars. We are even hoping for motor bikes and go karts as well. 6:30 am - 1 pm entry for display cars, 8 am entry for public, 1 pm - 2:30 pm random prize draws for show cars. Are you aching for all the action of yesteryear? An old-school purist, a rockabilly aficionado, or just a fan of all things ‘cool’? Then the Nostalgia Drags & Hotrod Reunion at Willowbank Raceway are for you! Hundreds of amazing machines of yesteryear on two and four wheels will descend on Queensland’s premier drag racing facility to keep you entertained on the track, while plenty of off-track entertainment ensures there is never a dull moment. From the Shannons Show and Shine to trade stalls and more, there is no shortage of colour, action and downright retro ‘awesomeness’ to keep you and the whole family entertained. With admission just $25 for adults (just $20 for students with ID) and children aged 13 and under gaining free admission, Nostalgia drag racing at Willowbank Raceway is a fun and affordable day out for all the family. Want to not only watch but also take part? Check out the info below – participation in the Show and Shine is free with your admission, with some great prizes on offer! Sussex Inlet Bowling Club Ltd are holding a Charity Car Show on Sunday 28th April 2019 with all proceeds going to the Sussex Inlet Cancer Support Group. All makes and models welcome including bikes. Show entrants arrive from 7.30 to 9am, $20 entry fee that includes breakfast for the driver. Additional breakfast tickets can be purchased for $10. Rego forms can be downloaded from our website in the reports link. It is such a great day for everyone. Public entry is free. Info (02) 4441 2087. The Kustom Kruisers Family Car and Bike Show is being held on the 28th April 2019 at the Reggio Calabria Club in Parkville. Live bands and Elvis, stalls, raffles, trophies, kids entertainment, full tar sealed car park. Catering on site, open bar and restaurant. Bikes $10, car entrants $20, public gold coin donation. Classic cars and bikes are invited to join this social cruise day in the Gold Coast Hinterland at Nerang Country Paradise Parklands. Join us 12 midday to 4pm for a lunch time gathering. Park your pride and joy on the huge grass field, enjoy a drink from the bar, live music on stage, the kids will have free activities and rides and there will be a bevy of delicious food trucks. Free entry. Presented by Councillor Peter Young Division 5. Bring your own picnic rug and relax under the huge fig tree. VDubs in the Square is a local car show held in Albury NSW every year and the next show is 28th April 2019. All Volkswagen Audi Group are welcome - VW, Audi, Skoda, Air-Cooled and water cooled. Live band, coffee and food, $10 show n shine entry, free walk in. Gippsland Vehicle Collection, at 1A Sale Rd, Maffra, is holding its annual Swap Meet on Sunday, 28th April 2019. The North Adelaide Precinct is holding the North Adelaide Rare & Classic Car Show on Sunday 28 April 2019 on a partially closed Tynte Street with family activities held on the 88 O'Connell Street site. The car show is the main event with a display of classic and rare cars. There will be up to 100 cars on display, from the grand to the humble and the ancient to the most modern. You will have the chance to vote for your favourite car in the ‘People’s Choice Award’. This community event will be a fun day out for all ages. Entertainment will include facepainting and balloon twisting for the children and live performances from Adelaide's favourite swing band Lucky Seven. Food and drinks will be available for purchase onsite, with a selection of delicious multicultural dishes from a range of North Adelaide restaurants and hotels, including The Oxford Hotel, Scuzzi Café, Beyond India and Pink Pig. Pop in to check out the amazing cars, grab some lunch and a glass of wine, have your face painted and enjoy some high quality musical entertainment. Proudly brought to you by the North Adelaide Precinct and the City of Adelaide. The 2019 Picnic will be held on Sunday 28 April and will return to the village centre. Just turn up on the day with your classic vehicle, head for the main street and set up your picnic. Shops will be open for business. For enquiries, email to picnicatross@gmail.com – please direct enquiries here and not to the Post Vintage Car Club. Sunstate Panel Van Club is hosting the Liz Richardson Memorial Panel Van and Car Show on Sunday 28th April 2019 from 9am till 3pm at the Redcliffe Showgrounds. Gates open at 6am to 8am for entrants, public 9 to 3pm. Trophy presentation 2pm. Entrants $15 per vehicle including two people, public admission $5, children under 12 free. Supporting Breast Care Nurses Australia. Celebrating 50 years of the Rolls-Royce Owners’ Club in Queensland. Rally HQ will be at Comfort Inn Grammar View Motel. exploring the region. Evening welcome cocktails at the historic Toowoomba Town Hall. Friday May 3rd dawn patrol to the historic Bull and Barley Inn, Cambooya. Saturday May 4th Judging Day 9am-2pm. Free evening to join friends discovering the Toowoomba nightlife. Sunday May 5th Display Day (Concours d’Elegance) “Queens Park”. Gala Black Tie Presentation Dinner – at the famous Empire Theatre. Monday May 6th farewell breakfast. The Pre-31 Autumn Tour has become the premier touring event in the calendars of veteran and vintage vehicle owners in NSW, though entries also come from other States. More than 100 vehicles, all manufactured pre-1931, will be touring around Orange and neighbouring rural areas and townships. Hosted by the Orange District Antique Motor Club, entry form and further details on website. Wide Bay Rodders Inc. Custom Car Club are once again holding their May in the Wide Bay weekend in Hervey Bay. The public can enjoy the hot rods on display for the cruise on Saturday the 4th when participants go Cruisin the Nade and the car show is being held on Sunday the 5th. The 22nd Annual Hat Head Rally is being held on Friday 3rd to Sunday 5th May, based at Hat Head near Kempsey. Includes a welcome BBQ on Friday night, morning tea, lunch, and formal dinner Saturday, breakfast and morning tea Sunday. A Show 'n' Shine takes place on Saturday at lunchtime and prizes are awarded for best car in selected categories. Rally routes around the District are provided and led by KMARC. So come and see the beautiful Macleay Valley in this, our 22nd year of the Hat Head Rally. Hosted by the Kempsey-Macleay Auto Restorers Club. The Whitsundays Festival of Motoring is a multi-day extravagant event to be hosted for the first time ever amidst the beauty of the iconic locations across the Whitsunday Region. From fascinating relics of the past to mesmerising classics, the Whitsundays Festival of Motoring will be a diverse family friendly event with a range of activities attracting visitors across the globe. May 2019, Whitsundays shall host a three day power packed festival showcasing the natural wonders of the region. The Whitsundays Festival of Motoring aims to highlight the scenic beauty of the Whitsundays to ensure successful growth of this destination for futures motor events and festivals. Keep your seat belts fastened and gear up and come be a part of this brilliant event, with the major highlight of Rally Whitsundays which is Round One of the 2019 P3 Solutions CAMS Queensland Rally Championships. Get ready to embrace the varied offerings from Music and Live acts to Classic Car Parades, Displays and Show and Shines at this event that is fun and just the place all motor enthusiastic want to be. Come be part of creating history from the 3rd May to 5th May, 2019. Beechworth Old Cranks Motor Club Inc are hosting their Drive Back in Time event on Saturday 4th and Sunday 5th May 2019. There is no pre-registration for Saturday or Sunday. On Saturday 4th May BBQ lunch at noon from old railway goods shed, Railway Avenue. (Cost $10 per car, BBQ Included). Then at 4.30pm join us for a cruising back in time street cruise open to any vehicle 25 years or older. On Sunday 5th May 8am start for Drive Back In Time Show n Shine. $5 entry per car. Large amount of trophies to be won from large car, truck & engine display. Note - all car entries must be 25 years or older. Trophy presentations at 2pm. Spectators admittance is free. BBQ food, coffee, tea and soft drink also available. The Drag-ens Hot Rod Club will be hosting their annual event the "Rattletrap". The event is for classic hot rods, vintage race cars and vintage bike trials. The event will include bracket sprints, grudge matches and an Exhibition Class for unique or historic vehicles. The purpose of this event is to recreate the celebrated Historic Festival of vintage cars and motorcycles (of pre 1941 vehicles and 1960 for bikes of vintage and earlier) parading on and demonstrating sprinting on the beach over a measured distance. The event will be held on Saturday 4th of May 2019 ( One day only, Sunday 5th of May a rain date). Providing a day of action on the picturesque Crowdy Head Beach on mid North Coast of NSW. The gates will be opening from 10:00 and we the event to start at 11:30 am on the day and will be going until the afternoon, tides permitting. Do you have an old car or bike you would like to register in our Show N Shine? Or perhaps you are just interested in seeing all the old cars? Come along on Saturday 4th May from 9 am - 2 pm to our Waikerie Show "N" Shine and also the Rock N Roll Festival at the Civic Centre grounds in Waikerie, South Australia. Gold coin entry for cars to Novita Children's Services. Prizes for Judge's Choice & People's Choice. If you would like to register, please download a form from our website:- https://riverlandwestchamber.com.au/markets or contact by email:- waikerieshownshine@gmail.com Any further queries please contact Ian Rogers on 0409 811 158. Wings Over Illawarra provides spectators with even more entertainment with a large display of classic and historic cars and motorbikes. Each year, car and bike clubs from NSW and ACT are invited to display their vehicles at the event and add to the atmosphere created by the historic aircraft on display and in the air. Meet the owners of some of your favourite vintage vehicles and chat to passionate car enthusiasts. Representatives from over 50 classic vehicle clubs promises that this display will be a huge spectacle for all motoring enthusiasts featuring both cars and bikes. Vintage, veteran, classic and modern classic vehicles, motorcycles and commercial vehicles will all be represented. The Nimbin MardiGrass Kombi Konvoy kicks off on Saturday 4th May from 2 departure locations heading to the MardiGrass. Byron Bay gathering from 10.30am in the public parking area on Somerset Street, leaving at 12.30. The Lismore gathering from 1pm onwards in the public car park on the corner of Magellan and Dawson Streets leaving at 3 pm sharp. Queensland Chrysler Association Inc presents Mopar Muscle at Warwick Dragstrip on Saturday 4th May 2019. The event is a relaxing day of 1/8 mile drag racing, show n shine, family friendly with fun stuff for the kids and followed by an evening of socialising. Suits first time cruisers to pro racers. ANDRA brackets and powder puff. All Mopar enthusiasts welcome. Live band, trophies on offer and cash prizes. Details and entry forms from the website. More info Darryl 0415 861 361. Redlands Rockabilly Revival #4 is being held on Saturday May 4, 2019 at the Redland Showgrounds in Cleveland from 10 till 5pm. Hot rod show, rockabilly bands & DJ, Miss Rockabilly Revival Pinup Pageant, dancing, kool markets, retro stylists, gourmet food trucks, kids rides, Redlands museum. Performing on the day will be The Linelockers, Suga Owens, B-Daddy and the Double D's, Slim Gritty and DJ Leapin’ Lawrie. Adults $16, concession $10, hot rod drivers $10, teenagers $4, kids 12 and under are free. Our Festival of Elegance's "Water Wheels Wings" invitational May 3-4 2019 starts off with the Awards Gala Night on Friday May 3, where not only will the Concours winners be announced, but our Community's Recognition of Excellence Awards magnificant 7 for 2019. Saturday will see our classic car, coffee and aircraft meet at the Southport Flying Club Airfield at Coombabah, before heading off on the Trivia Tour, Hill Climb and Teams Challenge. Entries for the FOE invitation will be out April 2nd 2019 or on request by emailing festival.of.elegance@gmail.com or Contact Grant on 0419 701 942 for more information. Northern District Rod & Custom Brisbane Annual Swap Meet & Show is being held on the 5th May 2019 at the Redcliffe Showgrounds on Scarborough Road. Stall Holders from 5am, $10 per site. Buyers from 6am $3 admission, Show & Shine display entrants arrive before 9am, $10 entry includes 2 people. No bricabrac, pets or alcohol. ASRF Sanction 120-04-2019. Contact Rob 0404 895 299 or Don 0488 916 428.. The 5th Annual Time Warp Festival is being held at Ricks Garage, 14-16 Margaret St, Palmwoods on Sunday 5th May 2019. Inviting all VW Enthusiasts to the Gold Coast Dub Club Inc 2019 Show and Swap. All VW based vehicles are welcome to attend. Gates open at 8:30am - be early as space is limited to approx 150 show cars. VW entry $5 (includes as many passengers as you can fit in your VW - yep, just like previous years, that's a challenge! ), walk-in gold coin. Swap meet site $25 (limited space - please book in advance to avoid disappointment). Trade site $50 (advanced booking required). The Lockyer Swap Meet and vintage car display is being held on Sunday 5th May at the Laidley Showgrounds. Entry via Cooper Street. Set up will be on Saturday. Sellers may turn up on Saturday afternoon to set up and camp overnight. Sellers are responsible for the security of their own goods. Gates open Sunday at 5.30 for sellers to gain entry and 6.30 for the buying public to enter. Info Gordon 0427 004 249 or Tony 0429 643 148. Coast Community Car Club in conjunction with the Central Coast Regional Show present Central Coast Auto Feast on Sunday 5th May 2019 at the Gosford Showgrounds. Entry open open to pre 1980 vehicles. Trophies, giveaways with all proceeds to Kara Women's and Children's Refuge so come along and be part of the show. Gates open at 6.30am, all entries must be in by 8.30am, trophies presented at 2.30pm. $10 per car includes show entry. Info Dave 0434 257 717. Once again the "Bumpers By The Bay" car show n shine event will be jam packed with classic cars of all makes and models pre 1985. There will be stall holders, food vans and great Rockabilly sounds from "The Inferno's". Trophies awarded for best judged cars. Car entry is $15 and public walk in is by gold coin donation. The EJ EH Club of Canberra proudly presents the Holden Chrome Bumper Show & Shine featuring Holden's from 1948-215 (FX) through to WB. Please try to arrive to have your car parked by 9 am for the start of the show. We had around 100 cars last year, and we are hoping to get plenty more this year. Your $25 entry is pretty good value with lunch included as well as lots of other goodies. Trailer parking available, public entry gold coin supporting the Huntington's Disease Association. Trophy presentation at 1pm. The Rotary Club of Keilor is holding its 13th annual Car & Vintage Bike Show on May 5th 2019. Its a great family friendly day with lots of things for the whole family including food stalls (with all-day breakfast), live music and amusements for the kids. The show regularly attracts over 200 exhibitors and over 1500 spectators with a great variety of cars and bikes ensuring a fun day for all with a spectacular display of amazing vehicles . 18 prize categories (including best club display) with great trophies and prizes and $200 in cash prizes for “People’s Choice” awards voted by the spectators and exhibitors. Pride & Joy Car Show is open to all automotive motoring enthusiasts, all makes and models welcomed, new or old, custom or stock....hot rod, vintage, customs, muscle, classic, jdm, euro, exotics, american or Aussie. This charity car show we are raising funds for a charity called Make a Wish foundation. $10 for Show N shine entrants (car and driver only), $5 per person spectators, children under 12 are free. 17 Show N Shine trophies to be won, winner takes home a trophy and a prize from Bowden’s Own. Must pre book to receive your registration form - please email qldcruising@gmail.com We ask those who want to enter the show n shine to arrive at 8am. The Cars 4 Kids Car Show is being held on Sunday 5th May 2019 at the Andergrove Tavern from 9am till 3pm. Open to all makes and models. Come along and help raise funds for our local Mackay PCYC. Admission adults $5, secondary school kids $2, under 12 free. Car entrants $20 on day of event, $15 early car entry (cut off 29 April). You don't have to be in a car club to put your pride and joy on display. Info 0427 556 938. The Old Car Social Club are hosting their 15th Annual Show & Shine on Sunday 5th May 2019 in aid of Diabetic awareness. We invite you to bring your classic beauty - car, hot rod or commercial to the show. Gates open at 7am, cars in position by 9am. Trophy presentation 1pm. Display cars $15 includes driver and passenger, spectators $2. Food and drinks available. Enquiries John 0410 017 007. The Wine Country Swap Meet and Motor Show is being held on Sunday 5th May at the Maitland Steeamfest Grounds in Church Street. Clear out the shed and sell some stuff while showing your pride and joy car, bike truck - anything with wheels. Trophies to be won. Steam engines and vintage machinery display. stalls $20 per 6x6m site. Pre booking essential. Display cars $10, public $5, kids under 12 free. Info 0403 848 831. The Mid North Coast Hot Rod Club are holding their 19th annual Lazy Winter Run on the weekend of the 10th to 12th May in Coffs Harbour. ASRF sanction# S19/06. Accommodation can be booked directly with the Park Beach Holiday Park on (02) 6648 4888. Info Andy Douglas 02 6642 5963. Meguiar’s MotorEx is the largest and most prestigious car show of its kind in Australia. Each year Meguiar’s MotorEx attracts Australia’s best custom and modified cars, which travel from all over the country to create an amazing visual spectacle of colour, chrome and individual style. Covering over 28,000 square metres, it features 400-plus vehicles with a collective value of over $40 million dollars along with the countries best automotive businesses showcase the industries newest and most exciting products. Meguiar’s MotorEx to be a car crazy experience not to be missed! The Port Augusta Motor Show is being held on Saturday 11th May 2019 at Wharflands in the Woolworths Big W car park from 10am till 4pm. Event features a show n shine and race boat demos. A number of trophies on offer including paint and body, interior, engine bay, club display, furthest travelled, grand champion car, grand champion bike and best NDMA club car. Info Angela 0407 410 216. The Bundaberg Early Holden Club Inc are hosting their annual Bundaberg All Holden Day and Swap Meet at Across The Waves Sports Grounds on Saturday 11th May 2019. This event is well known on the coast and interstate as one of the car shows to attend. We welcome all Holden vehicles old and new for judging and we have a complete category list of Holden prizes. Spectator entry from 8.30 am. Admission 0-5 years free, 6-17 years $1, 18 years and over $5, family $10. For more info call Rob 0407 578 414. The Ravenswood Car Show is being held on Saturday 11th May 2019 from 10am till 3pm followed by Saturday night live music. Show car entry $15, public entry gold coin, raffles, prizes and top ten. Free camp sites (no power), all food catered by the Railway Hotel. Show off your American classic, street rod, muscle car or lowrider at the Yank Tanks Display, held at Pimpama City Shopping Centre on the second Sunday night of every month from 6 pm to 8 pm. Please park between the two entrances on the Pimpama--Jacob's Well Rd side of the carpark (i.e. as far away from the shops as possible). This is a free event, everyone is welcome. Pimpama City Shopping Centre is privately owned and we are very grateful to Rix Developments for allowing us to hold Yank Tanks there. It is a privilege to attend this event, not a right. Cameras cover the entire site. Poor behaviour will not be tolerated. If you or your mates do anything stupid you will be banned and the event will be put at risk. Pimpama City Shopping Centre management has now allocated specific parking areas for display vehicles, spectators' cars and shoppers during each Yank Tanks Display event. The event start time will change from 5 pm to 6 pm from December onwards following a request from Pimpama City Shopping Centre management. Historic Winton 2019 will be held during 17th – 19th May instead of the traditional last full weekend in May. The long weekend of historic motoring commences on Friday 17th May with the RACV Benalla Historic Vehicle Tour as well as historic practice at the track. Saturday 18th and Sunday 19th May will again be Victoria's biggest weekend of historic motor racing. Now in its 43rd year, Historic Winton is Australia’s longest running, all historic motor race meeting featuring both historic race cars and motorbikes plus a massive heritage display of interesting old vehicles. Held at Winton Motor Raceway via Benalla, the event is one of the largest events in regional Victoria, attracting more than 10,000 motoring enthusiasts and approximately 400 historic competitors from all over Australia. Historic Winton is proudly conducted by the Austin Seven Club Inc. in conjunction with the HMRAV. The Bundaberg Heritage Car, Bike and Machinery Show is being held on Saturday 18th May at the Bundaberg Recreational Precinct on Kemdalls Road from 9am till 2pm. All vehicles welcome, $2.00 entry per person, proceeds to be donated to the Rotary Lodge. Come along and proudly display your vehicles, cars, bikes, machinery all welcome! One of only a few indoor motor shows in Australia and hosted by the Rotary Club of Tamworth West this 9th annual event is open to all types of motor vehicles. Saturday 18th and Sunday 19th May 2019 are set to showcase some of the very best classic, collectible and show cars available in Australia. The Shannons Tamworth Motor Show is the premier motor show in country NSW. Car Clubs and individuals are welcome to display their classics on the grounds around T.R.E.C.C both days. Vehicle entries close Friday 3rd May 2019. General public admission $10, children 12 and under free entry. Trophy presentation at 1 pm Sunday 19th May 2019. In what’s fast becoming the favourite event for all when we do it all in just 1 day. And what better place to rip up the straights than Queensland Raceway so make sure you got the old faithful cruiser ready to rock and roll because your gunna get 1 Day of pure madness . From old school V8 Muscle to Imports to Hot Rods and everything in between, they will all be out in force and with just over 400 entrants making their way through the gates last year, their sure to be eager to get onto the track for the first Powercruise session of the day which will kick of at 8am. The 5th Annual Southern Cross Charities Laidley Show n Shine is being held on the 18th May 2019 at the Laidley Showgrounds in Hayes Street. Gates open at 2pm and all entries to be registered by 4pm. Hot food and drinks. Public entry gold coin donation. $10 vehicle, bike, pinup entry, market stalls $10, trade stalls $50. Money raised on the day goes to support Orphans in Lesotho. Info Barbara 0412 140 239. The Wheels of Wamboin is a community run carshow that attracts over 120 cars of all types of vehicles. All proceeds to the Wamboin RFS. East Kurrajong School of Arts & Magic Metal Motoring Club are hosting their Annual Hobby & Motor Show at Stanley Park, East Kurrajong, NSW on Saturday 18th & Sunday 19th May 2019, 9am to 3pm. The Sunday coincides with National Motoring Heritage Day. Trophies will be awarded for best vehicle, best restored, best original, best commercial vehicle, best farm vehicle. Judging at 2pm on Sunday. The Show is open to clubs and individuals, historic and classic vehicles of all makes and years are welcome, $5 entry. The Show will feature many exhibits, some of which include classic and vintage vehicles, antique tools and machinery, architectural and military miniatures, local artists, candle and soap making, crafts, family history, jewellery making, metal art, militaria, plants, retro kitchenalia, rocker cover races, stamps and coins, vintage toy trucks, woodworking. On Saturday morning at 9am the Tractor Trek will arrive, having travelled from Freemans Reach. Refreshments available including homemade cakes and slices and BBQ. Entry adults $5, kids under 15 are free. Want to be part of the show? To pre-register your vehicle call Ann 0245 765 031. The South Burnett Car Club Inc. proudly presents its annual Show Shine and Swap Meet on Sunday 19th May at the Nanango JRLFC Grounds. Open to entrants from 6am and public at 9am. Plenty of trophy categories, catering on site, market stall welcome, raffles. Entrants including 2 adults $10 per car, spectators $2, under 16 free, market stall sites $10. Mt Terry Public School is holding their 2nd Show and Shine bike and car show on their school oval on Sunday 19th May, 2019. All types / models of cars and bikes are welcome to register. The show is open to the public from 10am - 2pm and spectator entry price is a gold coin at the gate. Cars and bike entry is $10 each and is payable on the day although registration forms will need to be completed before this date. Cars can arrive from 7am and will need to be in place by 9.45am as there will be no car or bike movements allowed while the show is open to the public. We will have trophies up for grabs on the day also including a kids choice trophy. We will also have a face painter, jumping castle, sausage sizzle, cake stall, slushies, popcorn, woodfired pizzas, an ice cream van and a coffee van on site. Money raised will be used on extra valuable resources for the kids at our school. The Central Coast Muscle Car Show is on the 19th May at the Erina Fair Green Carpark, level 4 (rooftop) on the Central Coast. It is a display of muscle cars past and present. Car show free to the public. Car entry $10 with lucky gate prize. All cars to be parked by 10am with the presentation at 1pm. All monies raised to the Cancer Council. Sponsors Choice Awards for best convertible, best original, best coupe, best paint, best sedan, best Mustang and best modified. For more details contact David 0404 471 154. Event will proceed rain or shine. The Copper Coast Classic Cavalcade for vehicles built in 1985 and earlier is being held on Sunday 19th May 2019 on the Yorke Peninsula. Enjoy the gathering of classic vehicle enthusiasts over breakfast at the Wallaroo start, then cruise the spectator lined streets of the Copper Coast before arriving at the big Show ‘n’ Shine Rock ‘n’ Roll finale at Kadina Oval. The Copper Coast Classic Cavalcade of Cars is a long established highlight on the South Australian Classic Car enthusiasts’ calendar. Held biennially, entrants and spectators get to enjoy much more than a static display. Following the assembly breakfast, entrants get to enjoy an extensive three town cruise through Wallaroo, Moonta and Kadina which delights the thousands of spectators who line the route. Then the cavalcade finishes with a big Show ‘n’ Shine at the Kadina Oval which features a licensed venue and offers a fantastic Old Style Rock ‘n’ Roll band with dancing, sideshows, stalls and food and drink. The Copper Coast Classic Cavalcade of Cars is a total experience that attracts some 500 vehicles with awards to be won in a number of categories. The 21st anniversary of the David Hack Classic Meet is being held on Sunday 19th May 2019 at Toowoomba City Aerodrome. Presenting a collection of classic vehicles, both new and old including vintage cars and trucks, hot rods, military vehicles, motorbikes, classic cars and aircraft (the famous Zuccoli Aircraft collection). The meet brings together an exotic mix of aircraft and vehicles you would be unlikely to see in any other venue. Exhibitors from 7.30am, public from 8.45 and finishes at 2.30pm. Public admission $15 per person, family 2 adults + teenagers $40, exhibitors $10 per vehicle. Children under 12 free. Free parking. Trophies awarded at 1.30pm. Food and beverages available. Shoalhaven Historic Vehicle Club is hosting the 2019 National Motoring Heritage Day which pays tribute to Australia’s Motoring Heritage. The theme this year is a “Salute to European Vehicles”. All owners of Vintage, Historic and Classic vehicles of all years and marques, and vehicles of special interest are invited to come. The day is open to clubs and individuals alike, entrants are asked to register their vehicles to be displayed. Please make your booking asap places are filling ring michael 0425 223 590 or email mjrlipscombe@bigpond.com or send your registration form to my address 14 Sabal Close Berry NSW 2535. Gates will be open from 7 am and the day will finish at 3.30 pm. Gerringong Lions are providing a sausage sizzle, and other vendors supplying food, coffee, ice cream and soft drinks. Judging will take place from 9 am to 12 noon. Entry fee is payable at the gate on the day. Vintage, historic & classic vehicles $5, spectators $2, children under 12 free. Adelaide Cruisin' Classics in conjunction with Tea Tree Gully Library proudly presents the Tea Tree Gully Historic Car & Motorcycle Show in support of South Australia's History Month, and National Motoring Heritage Day. Featuring vehicles from veteran to classic, street rods and customs, there's something for everyone. Join us for this free family event on Sunday May 19, 10am-3pm, which will feature stalls and entertainment for the whole family. Online entries are being accepted for cars, motorcycles and light commercial vehicles built before December 1989, but numbers are capped to 300 vehicles. Be quick to reserve a spot. Vehicles must be parked by 9:30am and must remain until 3pm. This is a public walk area, and for safety reasons, no vehicle movements will be allowed between these times. The event may be cancelled when the forecast maximum is 38°C or higher, or periods of rain have made the site unsuitable. Stormy weather / lightning on the day will be assessed and the event cancelled or suspended at the direction of the event coordinator. Bump in 9.30am – 10. Display 10 am till 2 pm. Static display of historic vehicles parked strictly as sign posted on Farquhar St between Bent & Wynter and on Wynter St between Farquhar and Isabella. The 2019 National Motoring Heritage Day – Picnic in the Park will be held in Cameron Park, Ipswich on the 19th May 2019. This Event is organised by the Queensland Historic Motoring Council Inc. This event is at no cost to you or your club. Make this your monthly club run. Display your historic vehicle, have a fun day and “share the passion” with the public. National Motoring Heritage Day is an initiative of Australian Historic Motoring Federation, with the aim being to promote and display Australia’s strong motoring heritage and also to show the community, businesses and government the strength of the Australian historic motoring movement. The Palmwoods Car Festival will be held on Sunday 19th May, 2019 on the Palmwoods State School Oval. Entry via Palmwoods-School Rd. Entry for cars is $10 and bikes $5. Gates open for exhibitors at 8am for a 10am start for the public. After continued success, this will again see our town come alive with an array of spectacular cars. Rock on up in your best outfits and enjoy the music, entertainment, food and drink, raffles and trophies for car and bike categories and best dressed. There will be plenty of fun and activities for the whole family. Gold coin entry per person for spectators on entry. To register your vehicle, bike or club please email: palmwoodscarfestival@gmail.com. If you would like to become a sponsor or to book a trade site, call 0414 454 835. The Tilligerry Motorama is being held on Sunday 19th May 2019 at the Tilligerry RSL at Tanilba Bay. Charity Car and Bike Show for classic and modern cars and bikes. Trophies awarded across 19 categories. $10 per show car entry $5 per show bike or trike. Spectator's gold coin entry. The Top of the State Swap Meet Car and Bike Show is being held on Sunday 19th May 2019 at the Cannon Park Racecourse on the Bruce Highway at Woree from 6am. Auto parts, bric a brac and collectables. Stall holders entry from 2pm Saturday or 6am Sunday. General entry $5, children under 12 free. Swap sites $15, show cars $10, trade sites $50. Camp sites for stall holders available at $5 per person. Info Barry 0407 741 442. Proceeds to the Far North Queensland Hospital Foundation. ASRF Sanction# SA-108-02-2019. Cruisin Whitsunday is being run from 24-26th May in the Airlie Beach area. Saturday foreshore display Airlie Beach 9am - 2pm. Rocker cover races in the afternoon. Saturday night 80's themed dinner, dance. Weekend on Wheels is a family friendly event held each year in May. All proceeds go towards the Manning Volunteer rescue squad. Major stands and displays include both NSW Police and Fire Brigade. Children can look forward to a visit by Big Dog. Vintage cars and hot rods will be on display both days, as will a bike display, food stalls, markets, and entertainment for all ages. Poker Run Saturday 25th of May from 10am and Motor Show Sunday 26th of May from 8am. Come along to 2019 Motor Show! We invite you to join us at the 2019 Hot Rod & Custom Auto Expo to be held at Rosehill Racecourse on Saturday 25th & Sunday 26th May, 2019. This is a two day indoor show featuring hot rods, bikes, customs and muscle cars. Pin up comp, Airbrush Alley, major prizes, trade stands, live music and free parking. Nostalgia Lane for car clubs and culture. We hope you can all make it as it is an awesome weekend not to be missed! You are invited to The Biggest Morning Tea on saturday 25th May 9am till 12 noon at The Rubber Connection. Gold coin donation to come and bring your car in. BBQ by Bay Rodders at reasonable prices. Big morning tea $5 with live band. Raffle prizes and charity auction. Catch up with old friends and new ones. Bring your car and see many others. The biggest Volkswagen show of the year is on again at Fairfield Showgrounds! See hundreds of Beetles, Kombis, Type 3s, Beach Buggies, Golfs, Polos, Passats and every other VW you can think of. 44 peer-judged categories for classic air-cooled VWs and modern water-cooled VWs, as well as VW family Audis, SEATs and Skodas. There's a special concours category for immaculate stock VWs. Trade stands, new car display, VW parts swapmeet, kids rides, Club shop, big raffles, German dancing, live entertainment, great food and drink. VW fun all day. All Volkswagens welcome! The Brisbane Swap Meet is being held on 26th May at Carina State School and is hosted by the Queensland Vintage Vehicle Association Inc.
Gates open at 6.30am for sellers and 7am for buyers. Admission $5 adults, $10 per swap site which includes a driver. Off street parking available. Please no vehicles over 4 tonnes. All sites to be vacated by 2pm. No dogs allowed. The Bull N Bush Car Show is being held on May 26 at the Bull N Bush Hotel at Medowie from 10am. Cars and bikes on display, live music by the the Flattrakkers from 11am, family friendly event, raffles and prizes in multiple categories, stalls and kids entertainment. Car and bike entry between 8-9am, strictly no colours. Proceeds to be donated to the Maitland Children's Ward. Car entry $10, bikes $5. All Classic Motor Club presents Classics by the Coast on the 26th May 2019 at Bell Park, Emu Park in Rockhampton. The All Classic Motor Club of CQ Inc.’s, Classics by the Coast has established itself as a premier event for the Capricorn Coast and indeed Central Queensland since the inaugural event in 1999. This biennial Show & Shine picnic day at Bell Park in Emu Park steadily increased in size and prominence since then, attracting thousands of visitors to the Capricorn Coast and raising many thousands of dollars for charities and community groups. To broaden the appeal of Classics by the Coast we have incorporated Fashions by the Coast into the event, to predominantly appeal to the ladies. The Retro and Pin-Up culture is a natural fit with the style of vehicle on display. The Chrome Bar Bonanza at Lakeside Park is open to all vehicles originally built with chrome bars. It doesn't matter if they have been removed or painted over. With over three hours of cruising throughout the day, Show n' Shine, 1/8th mile drags and kids entertainment it's a great day out! If you have a chrome bar classic be sure to bring it along for a great family day out at Lakeside Park. Spectator entry $10, cruises 1-3 $20 (30 min cruises), 4-10 $10 (20 min cruises). Gates open 7 am. Cavalcade of Transport is sponsored by the RACV and promoted by the AOMC and is being held on Sunday 26th May 2019 at Yarra Glen Racecourse. Gates open at 10am for display vehicles and 10.30 for spectators. Open to all veteran, vintage, classic, historic and collector vehicles. Entry by gold coin donation, catering on site, kids entertainment and free bus to Yarra Glen town centre. Wintersun 2.0 saw 4500 people through our public gates, 400 cars, 30 vintage caravans and a handful of specially picked retro markets. Now Aces and Eights Event Management aims to continue an unforgettable event in Northern NSW Country town of Murwillumbah in June 2019. With hundreds of enthusiasts ecstatic about the resurgence of a long lost festival, the creation of Wintersun 2.0 will see many happy punters gather on a weekend where they can see the best cars and bikes, eat the finest gourmet street food, see nothing but hand selected genuine retro stalls, auto memorabilia, car related items, fantastic music and dancing. Make sure you come down to Murwillumbah Showground to join in on the fun. Celebrating the first "Around the Houses" style racing in Australia held in Albany in 1936, the modern day re-enactment includes vintage and classic cars competing in the streets of the Albany CBD. Included on the day is a festival featuring bands, entertainment for the whole family, games, car displays, arts and crafts stalls, a Great Southern Wine, Beer and Spirits area and food vans. Supporting this main event is the Mt Clarence Hill Climb held on the Saturday, itself an historical event. The All British Day is being held on Sunday 2nd June 2019 at the Cathedral School in Mundingburra, Townsville from 10am. Free entry to a display of British vehicles and machinery. Displays also by the 4th Regiment Museum, Rusty Riders Bicycles, Townsville Diecast Club, Triump Riders Group and more. British morning tea and lunch available at school canteen. Public and disability parking available in school grounds. Info 0409 270 971. Unique Cars has promoted, attended and celebrated car shows for almost 40 years. Now, it’s our turn to take everything we have learned and run a terrific and relaxed celebration of classic and modern classic cars. We are inviting you to bring your pride and joy to the first Rolling 30 event, where you can hit the track and cruise at up to 100km/h without the need for racing helmets or licences. As the name suggests, Rolling 30 champions any car built more than 30 years ago, with the cut-off date rolling forward every year. For our first event, you can bring anything built up to (and including) 1989. The ride to the beach has always been important for surfers and in keeping with this tradition there will be a Surf Vehicle Show & Shine. Classic car lovers will pack Kingscliff as classic surf vehicle go on show on Sunday 19th March. The display will showcase many different varieties of the finest surf vehicles at the Lions Park in Kingscliff from 9:30am. Entries from previous years have ranged from a V8 Kombi, to old American Woodies, Holden panel vans and the classic old Kombis that have provided transport and accommodation for surfers over the last 50 years. Attraction to the chrome bumper era is universal; it knows no age or gender barriers and has few critics. Ryno Insurance Downunder Beachfest is run for people passionate about ‘Hot Rods, big fins and chrome. With the first event held at Caloundra on Queensland’s Sunshine Coast in 2015, you wouldn’t think it was 4 years ago this year. Ryno Insurance Downunder Beachfest is a tribute to this era; a festival featuring the hot rods, classic cars and motorcycles that were built before 1983. And, of course, there is the classic music of the era performed by bands who remember what Brylcreem and vinyl records are. Ryno Insurance Downunder Beachfest is run by people passionate about ‘all things automotive and chrome’. People whose lives revolve around the passion of collecting, building, showing and driving these vehicles. People who understand the ‘head-turning’ charisma of these classics. Whether you’re into hot rods, classic cars, muscle cars, classic motorcycles, even classic caravans (as long as it was built prior to 1983), Ryno Insurance Downunder Beachfest is the only place to be. Cooly Rocks On is Australia’s favourite 50’s 60’s & 70’s Nostalgia Festival and is being held on June 5 - 9th, 2019. Music, dancing, cars, nostalgia and good old-fashioned family fun are all on the program, in one of the best destinations in the world. Car bookings open on Tuesday 30th October. In 2019, everyone’s favourite events will be back including the Show ‘n’ Shine, Poodle Parade, Retro Markets, Dance Championships, Miss Cooly Rocks On™ and the signature Street Parade. Car cruises and Show ‘n’ Shines will continue to be the highlight of the weekend’s activities. Over five action packed days, Coolangatta and Tweed will come to life to celebrate everything we love about the 50s, 60s and 70s. So get your cars, dancing shoes and best outfits ready for Cooly Rocks On™ 2019. The 2019 Hay Mini Nationals will be held on the 7th to 10th of June and individuals and families bring their vehicles from all over Australia to attend this event and Say “G’day” to Hay in our own special way as we close off their main street and fill it with the rumbling sounds of 100 plus mini’s. The event consists of a welcome party on the Friday night, a Parade down the main street on Saturday morning followed by one of the most spectacular show and shines around. Then on the Saturday night we have a more low key but great fun quiz night and catch up with mates for a few laughs and tall tales. Then on the Sunday morning the main event kicks off starting with the Hay Mini Nationals Motorkhana, where it is expected that there will be in excess of one hundred entrants. This is followed by the Hay Heroes Challenge, an edge of your seat elimination event where drivers run off against each other on identical tests, with the fastest moving on to the next round. This is all capped off with a massive fancy dress Presentation Party held at the Hay Memorial Hall later on the Sunday evening. Awards are presented for the winners of all the weekends events. Hay is an event that must be attended at least once in a Mini enthusiasts lifetime. Hours are June 7th 9am till 6pm, June 8th 5am till 12 noon. Overnight camping available. Catering on site and various stalls. Stall holders 6am Friday till 12pm Saturday. Static car and motorbike display. The June Rally is an annual event hosted by the Wagga Wagga Veteran & Vintage Motor Club Inc. held on the Queens Birthday long weekend. It attracts around 150 entries comprising veteran, vintage, post war and classic vehicles and motorcycles from the early 1900’s to the 30 year cutoff. Entrants register on Friday evening at the clubrooms, collecting their rally packs. On Saturday, entrants will depart at 9.30am from the clubrooms for a morning run that will end up back at the clubrooms for lunch. This is the opportunity to view the vehicles and vote for the various trophy categories. Sunday events start with a short run to a soup stop, leaving the clubrooms at 9:00am. After soup, entrants will proceed to Temora for lunch. Entrants are farewelled with a BBQ breakfast on the Monday morning. Further details WWVVMC or Phil (Rally Director) 0418 673 186. Come and celebrate the 41st Charters Towers Motor Show & Swap Meet 2019 with the Charters Towers Restorers Club Inc at the Charters Towers Showgrounds. Two days (Saturday and Sunday) of static car displays and driving events, as well as the Swap Meet and market stalls. Friday night will kick off with a Meet N Greet with Friday itself a set-up day and live bands and licensed bar till midnight. Live music, food, bar, kids entertainment and fun for the whole family. Info 0499 686 202. Members of the Namoi Valley Antique Vehicle Club extend a warm invitation to the North West Rally 2019 to be held in Narrabri. Come and enjoy our country hospitality over a relaxed weekend with activities focused on Heritage motoring. This is a great opportunity to catch up with old friends, meet new ones and to appreciate all the magnificent vehicles driven by their proud owners. Information - Rally Director Harvey Black 0427 254 374; Rally Secretary Beth Brown 0409 787783. Central Victorian Chrysler club presents Midstate Mopars each year in the middle of Bendigo and this year it is being held on the 8th to 9th June. Saturday has a cruise starting at 1.00 pm, ending with a night out at the All Seasons, McIvor Road Bendigo where you can have a meal and enjoy some live music for the evening. Sunday is the Show and Shine with over 300 cars being the normal turn up each year. The Brasher Nats are on the 9th June at Sydney Dragway at Eastern Creek with gates opening at 8am till late. Burnouts, Show & Shine, smoke show, donuts and dyno shootout. Spectators $30 adults, kids $15, under 12 free. Entrants burnouts full, dyno $50, show n shine on the day. Info 0425 314 777. The Great Lakes Historic Automobile Club present the Great Lakes Nissan Motorfest featuring approximately 350 vintage and classic vehicles on Sunday 9th Jun 2019 from 8:30 am - 1 pm at John Wright Park in Tuncurry. Open to all types of vehicles and motorbikes - classics, vintage, customs, hot rods, Nissan coupes and all makes of sporty machines. Many trophies up for grabs on the day. Food catered by the Rural Fire Service, coffee vans on site all day. Display vehicles entry by gold coin donation. Free public entry. Info 02 6555 9807. The Car Show is held on Sunday of the festival in lower Main Street although car enthusiasts are encouraged to attend on Saturday and enter their vehicle in the procession. The car show is held by the Grenfell Car Club in conjunction with the Henry Lawson Festival. There are a variety of classes and prizes are awarded in each. This is a terrific opportunity to observe some rare and much loved vehicles which are not normally on display in such an accessible location. The Maldon Que Bee Swap Meet is being held on Sunday 9th June at the Maldon Racecourse Reserve. Stalls $20 for a 6mt by 6mt site, no prebooking required. Just rock up and start selling. Saturday set up welcome, and advised, ready for an early start on Sunday. Buyers are just $5 a head, kids free. Free parking on the venue, no need to park in streets or walking for miles. We will also have an area set aside for exotic and classic cars. All enquiries call Mark or Bonnie on 0414 244 842. The Muscle Car Masters Show n Shine is on Sunday 9th June 2019 at the Elizabeth Street Shopping Centre at Acacia Ridge. From the past to the last 1948 to 2017. Come and look at a stunning display of early model Holdens, HSV's, race and speciality cars. Gold coin donation to the public. Judging and trophies for the best cars in over 60 categories, both stock and modified. Driver appearances. Supporting the Children's Hospital Foundation. The Annual St Marys Car Show is being held on Sunday 9th June 2019 in the main street of St Marys. Please have cars and bikes assembled by 8.30am. Open to all makes and models. A classic country atmosphere car show with free entry. This year the main street will be closed for the show. Market and craft stalls, live music, trade stalls and kids entertainment. BBQ and lots of great cars to see. Info 0419 503 109. Walla Walla Swapmeet, Show & Shine is fast approaching on June 10th, Monday of the Queen's Birthday Long Weekend. The Show & Shine is open to any vehicle of interest, including cars, motorcycles and trucks. Heaps of sites available, all of generous size. It will be held at the sportsground with help from the Rand Walbundrie Walla Giants Football & Netball Club & The Walla Walla Motoring Club. Please note it is the Monday of the Queen's Birthday Long Weekend. Camping is available for people who wish to set up Sunday. The Gosford Swap Meet is on Saturday June 15th 2019 at the Gosford Showgrounds. This event is hosted by the Central Coast Historic Car Club. Open and undercover sites - no booking necessary. Admission $4 for lookers, site fee $15 for sites 6m x 6m. Kids free. No dogs allowed. No camping. Catering on site. Gates open 6am. Info please call Jim 0413 921 020 or John 0407 400 773. Show n shine open to all classics, customs, utes, street machines, muscle cars, cruisers, hot rods and bikes - all welcome. Mega trophies on offer for the Show n Shine. Registrations before 9am, presentations from 1pm. Entry via gate 10, Old Gympie Road. Swap meet holders from 5am for set up, public entry from 5am. No sites reserved. Swap sites $10, show n shine $10, public $5. All catering facilities available on grounds. No dogs. Overnight camping Friday from 3pm-8pm $25 entry via gate 2. Enquiries swap meet 0419 331 213, show n shine 0431 577 344. Proceeds from Show support local charities. The W.A Hot Rod & Street Machine Spectacular is on June 15-16 2019 at the Claremont Showgrounds. This year they’ll be celebrating the power and the passion of the modified car scene. The show is open from 9am to 5pm on Saturday and Sunday and kids under 12 (accompanied by an adult) get in for free. The annual Western Australian Hot Rod and Street Machine Spectacular will showcase hot rods, street machines, modified bikes, trucks, competition, exhibition and other custom vehicles on display. There is also a huge range of retail products and souvenirs available. Door prizes, live music, DJ's and show girls will all make your visit to the WA Hot Rod Show a memorable one. The MG Car Club Hunter Region is delighted to invite your European car club to participate in Euro Motorfest this year on Sunday 16th June at Newcastle Foreshore Park, Wharf Road, Newcastle East. Coffee, food and drinks will be available on site. There are other local outlets within easy walking distance from Foreshore Park. A raffle will be held. Display participants are invited to enter the park from 8.30am and People’s Choice trophies will be awarded at around 1pm. Presentations are expected to finish by 1.30 pm. In the event of wet weather we will be moving the date of Euro Motorfest to Sunday 30th June at the same venue. Sunnybank Hills Rotary Club are hosting the Show n Shine Spectacular on Sunday 16th June 2019 at the Mt Gravatt Showgrounds on Logan Road. Lots of cars, kids rides, catering on site, stalls and more. Major beneficiary Drought Appeal and local charities. Hot Rod's For The Homeless is holding its First Annual Toowoomba Show with everything from classic to custom, hot rods, street machines, hi-tech, 4s, 6s, rotary also bikes new and old so if you enjoy cruizing, camping and dancing with your mates then this is the event for you. What we have to offer - Cruise from your clubhouse to the event. Camping on site. Show and shine, trade displays, rock and roll dancing, live music, pin-up pageant, entertainment, kids rides, food and drinks vans. The 2019 Queensland Hot Rod and Street Machine Spectacular will be held on 29 and 30 June in The Marquees RNA Brisbane Showgrounds (entry via Gate 5. O’Connell Terrace Bowen Hills). There will be loads of entertainment, both indoor and outdoor, for the whole family. We will also have provision for reserved parking for those that want to cruise in with their street rod or classic to view the show on either day. Adult admission $15. Also show vehicle entrants that attend will have their entry fee refunded after the show. Visit our website at www.qldhotrodshow.org for additional information. Brisbane’s biggest car show, food festival and trade show is being held on the 29th of June from 5pm at the Pine Rivers Showgrounds. Show & shine, food trucks, dyno, trade stalls, dj, family friendly. $5 entry per person. We do not condone any skidding, hooning, revving, alcohol, or antisocial behaviour. Come along and enjoy a fun-fuelled night full of food, fast cars, and family fun! The Ballarat Road Rodders 44th Annual Swap Meet is on again. Better known as the Fridge Swap Meet (due to the multi story Carpark and Ballarat's winter temperatures). Since June 1975 people have been flocking to the coldest Swap Meet in Australia. Sites $20 per stall, public entry $5 per head, gates open at 6am. No bookings just show up, line up, and rug up. 2m height restrictions on vehicles entering. No food vendors admitted. Roof top parking available for chrome bumper vehicles. Independence Day Raising Hell in Maidenwell Hot Rod, Custom and Vintage Caravan Run is being held from Friday 5th July to Sunday 7th July 2019. Open to ASRF hot rods and pre 1975 customs, classics and vintage vans. Car show n shine entry only $20 including camping for 2 people. Friday and Saturday Swap Meet, contact Syd for details 0419 764 640. Public day Saturday 6th from 9am, free entry. Themed red, white and blue fun packed campout weekend. Welcome BBQ, live music, pig on the spit, affordable meals and entertainment. SA 135-05-2019, info Rhonda 07 4163 1999. Run in the Sun is a public show being held on Saturday 7th July 2019 1 pm till 5 pm at the Calliope River Historical Village. Hot rods and customs and American muscle cars pre 78 are welcome. Plenty to see so come along for the afternoon and enjoy music, the Clyde Hotel bar will be operating along with food, coffee and ice cream vans. Adults $5, kids under 12 free. Info Paul 0477 489 861, Donna 0458 112 884 or Stan 0411 110 324. The All American Independence Day at Lakeside Park is open to all American built vehicles. With over three hours of cruising throughout the day, Show n' Shine and kids entertainment. If you have an American beauty bring it along for a great family day out at Lakeside Park. All American Independence Day is the only All American Day for 2019, So make sure you don't miss it. Spectator entry $10, cruises - 1-3 $20 (30 min cruises), 4-10 $10 (20 min cruises) and gates open at 7 am. In celebration of the mighty mini’s 60th birthday the Victorian Mini Club is hosting a show at the royal Melbourne Showgrounds. There will be trade stalls, mini judging and a whole lot more. All minis welcome so mark the date in your calendar and come along and enjoy the best of this British icon. The annual Warragul Swap Meet is being held on Sunday 7th July 2019 at the Warragul Showgrounds on Howitt Street. Stall holder entry from 6 am via Permewan Lane. Public entry from 7 am, enter through main gate on Howitt Street. Stall holders $10.00, lookers $5, under 14 free. Info contact Les 0402 052 120 or Graham (03) 5623 6363. We are looking for Australia's best rides to display on the most iconic stage in Melbourne, the Melbourne Exhibition Centre at our Autocult show on the 13th July 2019. Double the size, double the cars, double the spectacle. Help support the Melbourne car scene and share the love. 2019 we are going all out. Muscle On The Mountain Show and Shine is being held on Sunday 7th July 2019 and runs from 7am to 1pm at the Maleny Show Grounds, 13 Maleny-Stanley River Road. Gates will be open from 7 am for setup. Holden, HSV, Ford, FPV, muscle cars, street machines, hot rods, vintage and classic cars and motorcycles and clubs all welcome. Proudly supporting Prostate Cancer Foundation of Australia. Adult entry $5, under 17 free, fun day for all the family. APEX BBQ breakfast from 7am and lunch available. Camping available $20 a night for a powered site. General Enquiries 0409 489 777. The Back to Brunswick Hot Rod Run is on 12-14th July 2019 in Brunswick Heads on the NSW north coast. On Friday meet in the park at 11am opposite Hotel Brunswick and cruise to lunch. Registration open from 4pm - 6pm at the Hotel Brunswick, 4 Mullumbimbi St, Brunswick Heads. Live music from 7pm. Saturday kicks off with an lunch run at Hotel Brunswick at 11.30am with registration. After the lunch run it will be back to the pub for wining, dining and an auction from 6pm with live music. The Sunday Show n Shine will commence from 9am with the trophy presentation at 1.30pm at the Hotel Brunswick. For more info call Rod 0418 762 576 or Pete 0484 616 926. ASRF sanctioned event #SA 136-03-2019. The EMS Mackay Motor Show is being held at the Mackay Showgrounds in Milton Street on the weekend of the 13th and 14th July 2019. Gates open Saturday 13 July 2019 9am to 5:30pm, Sunday 14 July 2019 9am to 3pm. Bump in Friday 12 July 9am to 8pm, Saturday 13 July 6am to 8am. No entrants vehicles or bikes will be permitted to move once set up until Sunday 14 July at 3:00pm. ASRF Sanction # SA-113-03-2019. The Hunter Region All British Day is being held on Saturday 13 July 2019 at Foreshore Park, 32 Wharf Rd, Newcastle East. All British vehicles are welcome. The event is hosted by the Jaguar Drivers Club Hunter Region and runs from 10 am to 4 pm. Enquiries contact Tom 0418 495 977. The Yesteryear Truck and Machinery Show is being held over the weekend of the 13th and 14th July 2019 at the Wauchope Showground. Come and join us for a weekend for the whole family. This years feature truck is Mack. Saturday trading hours 9-4, Sunday 9-2pm. Admission $10 per adult, children under 12 free. Displays of historic and late model working trucks, tractors, stationery engines, cars, motorcycles,memorabilia display and chainsaw displays. Swap meets and activities for the kids. Tappet cover racing and more. The fun, atmosphere and excitement of RACQ MotorFest will return to Eagle Farm Racecourse, Ascot on Sunday, 14 July 2019. As always, the event promises to have something for everyone. Last year, thousands of car buffs and families turned out to see the 400+ prestige, vintage, unique and collector vehicles that were showcased in a colourful carnival environment. Display day to open our new display theme featuring defunct British car manufacturers. Gold coin donation to charity for grounds admission, discounted museum entry on the day, display vehicle drivers free entry to museum. Catering available. Ingham Autofest is please to announce its return in 2019 on July 19th to 21st. Ingham Autofest is open to everything automotive from cars, trucks, bikes in fact anything that has wheels is welcomed to join in on all the fun and with the theme of a family friendly Motoring Festival. This year will also see increased prize pool and reduced camping fees amongst other improvements to our Ingham event. Events include, go to whoa, spear a spud, dyno shootout, show n shine, autokana and everyone's favorite, the mighty burnout competition. The Original Gold Coast Swap is on at the Mudgeeraba Showgrounds. Veteran, vintage, classic cars and parts, automobilia, memorabilia, model cars, antiques, collectables, Australiana. Outdoor sites $10, including driver (no booking required). Full catering service. Saturday afternoon set-up available 2pm to 5pm. Camping available Saturday night – $15 extra includes amenities and limited powered sites. Gates open 5am Sunday for stallholders. Trading 6am to 2pm Sunday only. Free parking in grounds – enter from Worongary Road. The Wagga Wagga Swap Meet is being held on Sunday 21st July 2019 at the Wagga Wagga Showground in Bourke Street from 7am. Up to 900 site holders from four states. Auto-memorabilia, antiques, bric-a-brac, ornaments, collectables and more. Hot food and drinks available. Gate entry $5, children under 14 free. Indoor sites $45, outdoor sites $35. Info Wendy or Trevor 0458 454 477. The Relay For Life Fundraising Bike and Car Show is being held on the 27th July 2019 on the Seafront Oval at Hervey Bay. Food vendors, music and Peoples Choice and Sponsors Choice trophies on offer. $5 entry for any vehicle with all proceeds going to the Cancer Foundation. Free entry for the public. ASRF travel concession applies. Register on the day. The Ford Super Swap Meet is on the day before the show on Saturday 27th July 2019. Please note that it will be located with in the grassed pit area of Sydney Dragway, so entry into the Swap Meet is via the Competitors Gate. Gates will open from 6.00am and cost to sellers/traders is $20.00. Buyers/Lookers only $3.00 entry. The Ford Flathead Festival is being held on Sunday 28th July 2019 at the Caribbean Gardens in Scoresby from 10 till 2pm. Henry Ford's birthday, what better way to celebrate than with a Ford car show. A great day for all Ford enthusiasts and non club members especially welcome as no member ship is required. This show is one to all Ford flatheads from 1903 to the end of the flathead era. 3 free entrants prizes drawn at 1.45pm, you must be present to win. Catering on site, adults $2.50, pensioners and children under 13 $1. All makes of vehicles are welcome and there are a lot of trophies to be presented. The public has free entry to view all the cars and enjoy the activities. Trade displays by sponsors are most welcome. Registration is only $25. Dust your pride and joy off, polish it up, and enjoy a sunny day down at Jezzine Park in Townsville where there will be plenty of food, cold drinks as well as a kids activities. If you enjoy the day a gold coin donation can be made in the wishing well with proceeds going to Children's Diabetes Camp of Townsville and Angle Paws. Cyclones Rod & Custom will also be making a donation to both of these very worthwhile local charities. The All Ford Day is a family friendly event held on the last Sunday in July each year. Organised by The Combined Ford Clubs of New South Wales, the day celebrates all of Fords finest. From trucks to drag cars and everything in between, come along and see over 1200 Ford vehicles on display. Vintage, classic, muscle and modern. Come and see some of the best original Ford vehicles in the country alongside some amazingly restored and modified examples. Talk to members from the various car clubs that make up The Combined Ford Clubs of N.S.W. Check out all the trade stands as well, you just might find that elusive spare part for your Ford project. Robot Productions proudly presents GreazeFest 20th Anniversary from Friday August 2 - Sunday Aug 4 at Redland Showgrounds on Long St, Cleveland. We are thrilled to announce that one of the greatest rockabilly bands in the world, The Paladins, will be headlining this year’s GreazeFest. Also performing at GreazeFest will be our extra special guest Jason Lee Wilson. Feast your eyes on the sensational roster of entertainment - The Paladins (USA), Jason Lee Wilson (USA), Rusty Pinto, The Detonators, The MotoV8ors, Pat Capocci, The Flattrakkers, Palomino III, The Hi-Boys, Hank's Jalopy Demons, Better Off Ted, Lovejoy Surf, Jon Flynn’s Knights of Sin, Ross & The Wild Boys, Miss Teresa & Her Rhythmaires, Kid James & The Jalopys, Hellcat III, B-Daddy & The Double D's and The Linelockers. Plus a special GreazeFest tribute to Sun Records. Guest International Artists include Von Hot Rod (USA), Shawn Dickinson (USA), Krazy Dotty (Japan), Cathy ‘Artgirlcathy’ Mejia (USA), Miss Victory Violet (NZ). Other features include GreazeFest hot rod shows, GreazeFest trophies, The Hot Rod Belle Pinup Contest, Miss Tiki Wahini Pinup Contest, Mimsy's Trailer Trash Tattoo, Tiki Carving by Tiki Dylan, GreazeFest Art Show, kool markets, food trucks and licensed bar. Advance tickets are now on sale, so grab your tickets now at discounted prices. It’s easy, just book online and print your tickets securely at home. Friday August 2 – 7pm to midnight, Saturday August 3 – 10am to 10pm, Sunday August 4 – 9am to 6pm. Rocky Swap is being held on the 3rd August 2019 and has 1100 swap vendors and huge crowds that come from as far away as Victoria. Saturday breakfast is served at a number of stalls. Food, drinks and expresso coffee will be available all day. Rocky Swap is run jointly by Rotary Club of Rockhampton North Inc. and the All Classic Motor Club of Central Queensland Inc. Funds raised by Rotary Club of Rockhampton North Inc. are donated to community service, sporting groups and other volunteer organisations throughout the year. The All Holden Day is being held on the first Sunday in August and is held annually. It's home to Australia's largest display of Holdens. There will be lots of activities for the whole family throughout the day. Including swap meet, trade stands, food stands, drinks, ice creams, and featuring those fantastic Holdens. The NSW All Holden Day entry is open to all Holden badged vehicles (when new). There is a 2 day swap meet held on both Saturday and Sunday from 6am. ​The Display Day for original and customised Holdens will be proudly displayed from first to current models on the Sunday from 9am. ​So enter your Holden sedan, ute, wagon, van, 1 tonner, be it stock or modified it doesn’t matter, enter now and be part of this great day. Spectator admission $5 adults, kids under 15 years free. To enter your Holden, go to the online entry form page as there will be no entries on the day. Display cars can enter the event from 6am Sunday via Gate 4. The Buxton Classic Car and Motor Cycle Festival on the River is being held on Sunday, August 4, 2019 at 9 am – 3 pm at the Waterfront, Buxton. Entertainment, stalls, catering on site, judging from 10am. This event is alcohol free and children friendly. All proceeds donated back to the community. The Cool Classix and Modern Muscle Show and Shine is being held on Sunday 4th August at Anderson Oval on Glenview Road. Show runs from 9am till 1pm, gold coin entry. Catering on site, raffles, trade stalls and 10 class trophies on offer. All proceeds go to Glenview State School P&C. Noonamah Tavern & Rodeo and Shannon's are proud to announce Shannons 3rd Annual 2019 Rockabilly and Classic Car Show. Show N Shine, heaps of prizes, 1950's Pin Up Girl Competition, Peoples Choice award, live music featuring Little Billie. Free camping northern side of the Pub. Free Metro Mini Buses from the venue to Palmerston and rural areas. Entry gold coin donation for charity. Limited entry spots for Show N Shine so get in early. Info contact Robert Berry at Shannons Insurance on 0417 262 918. The 10th Annual Gold Coast Car Show is scheduled for 10th-11th August 2019 at the Mudgeeraba Showgrounds. Saturday is family day with retro cars and caravans from the 50s-70s plus live Rock n Roll music, dance comps, monster trucks, carnival rides and fireworks. Sunday is the big car show event with everything on wheels including bikes and trucks. Live band entertainment, food and trade industry stalls. Mopar Mayhem is being held on the 11th August 2019 and is held every year at Queensland Raceway (Willowbank) for MOPARS only - Chrysler, Dodge, Plymouth, DeSoto & Valiants. Gates open 11.30am. Great afternoon of track fun for everyone plus race ya mate and a burn out pad etc. Kids are welcome in the Cruising event only. If you are taking part in powerskids, race ya mate, burnouts or mini sprints, helmets are a must. If your vehicle has a roll cage fitted, all occupants must wear a helmet for all events. Mini sprints require full racing attire. Pre-entry is highly suggested and for info Deb Young 0488318727. Three Mods Events it's holding it's first annual auto festival Power On Petrie for everything from classic to custom, hot rods, street machines, hi-tech, 4s, 6s, rotary also bikes new and old so if you enjoy cruzn,campn,dancn with your mates then this is the event for you. What we have to offer - Cruising (on site cruise route 2 lanes 1 kilometre loop), driving events including Go 2 Whoa, Grab a Granny, Slalom. Camping on site, included VIP campsites on the cruise route (ideal for car clubs or groups) limited number of sites. Show and shine, largest trade displays, dyno shoot out, sound off, rock and roll dancing, live music, pin up pagent, off track entertainment, kids rides, food and drinks (alcohol and glass free event). Free shuttle bus service for spectators to and from secured parking areas. Open to all vehicles that are Australian road registered. This will be a sanctioned event with trophies, prize money and giveaways. The Just Rock Ipswich 'Back to 63" Classic Car Show n Shine is being held on August 18th at Ebbw Vale Memorial Park Oval. All classics, hot rods, motorbikes and special interest vehicles welcome. Live entertainment, food and drink stalls, 50s memorabilia stalls, raffles, trophies and pin striper. Spectators free. Info Robert 0410 638 787. Maling Road Auto Classico is being held on Sunday 18th August and this years event will focus on ensuring we have a broader appeal of Classic and Modern sports and collectable cars - covering many marquees, to ensure we have a tremendous blended mix of European, UK, Italian, American, Australian classics covering all the popular classics and selected moderns. A sample of the marquees that will be strongly represented are as follows: Porsche, Mercedes, Most of the Italian car clubs - via the Italian Auto Icons participation, MG, Rover, Lotus, Austin Healey, Jaguar, BMW, Cobra etc. On top of this we have some well known private collectors who have committed to display some cars rarely seen - these will be in a special area set aside. Dutton Garage will also feature some cars, plus some extra special cars from a well known private collector, as wel as Shannons. Overall we have plans for 160 classics. We are also featuring some classic bikes and are in advanced discussions with some key marque's. Maling Road is unique, and as one blogger wrote - the event is unique as these classics are driven to the event, parked in a street/village atmosphere, where they are seen as they are meant to be - in real life. The Maling Road event is reminiscent of the European Events where classic/modern cars take over a village square. The Maling Road ENTIRE shopping precinct is closed off - with no through traffic - just these classic cars and people to mingle. This year will be our biggest yet. Entertainment will be provided to create a carnival event atmosphere. Free to the public. Poyser Holden Bendigo All Holden Day is hosted by Bendigo Sandhurst Holden Club and is being held on Sunday 18th August 2019 at the Bendigo Showgrounds in Holmes Road, North Bendigo. Judged cars undercover in the Regional Event Centre (REC). Gates open 7.30am, entry via Gate 3, entry off Kookaburra Avenue. Vehicles must be parked before 9am and it is preferred that cars remain parked until 3pm. Food and trade stalls, lucky spot prizes and coffee. This year featuring Holden Utes - bring your Holden ute for a line up display around the edge of the oval. For enquires contact bendigosandhurst@holden.org.au or 0435 532 664. Welcome all to the 2nd Real Steel & Chrome Car Show. Come on down to Yatala Drive in on the 18th of August 2019 and bring your pre 79 street machines, hot rods, rat rods, customs and muscle cars for what will be an awesome day. Trophies will be awarded by our judges to the cars picked worthy of a place in our Top 10. Food and beverages will be available at the canteen along with trade stalls and a DJ blasting tunes across the morning. We will also be holding raffles with various prizes throughout the show. Gates open at 8am. Entrant cars + 1 passenger $15. Extra passengers and public $5 each. Kids under 14 free. Parking is available on site at the rear of the complex. Hosted by the 55-56-57 Shoebox Club of Qld, we hope to see you there in August. Over 1900 Veteran and Classic vehicles from over 150 clubs on display and on parade, including cars, motorbikes, scooters and military vehicles, police vehicles, ambulances and fire engines. And it’s on rain, hail or shine. There’s also plenty to see and do indoors. Double-decker bus rides around the track (gold coin donation for the Bus Museum) Trade displays in Pit Garages all day with books, models and all sorts of memorabilia available for sale and the free spirit markets. Live music, with Pink Cadillac & The Escalators. Don’t forget, this is very close to Father’s Day, so come along and pick up a gift that Dad will love. It’s a day for all the family with lots of things for dad, mum and not forgetting the kids with clowns, face painting and lots more. All the services will be there; SES, RFS Marine Rescue etc. General Admission Sunday 12th, $20, free entry for kids under 12 years. Public parking for Sunday is via Gate B on Peter Brock drive and is included in your GA ticket. ARDC Members parking on P3, via Gate A Ferrers Rd. Gates open to the public at 10am. After an awesome event in 2017 DKs Show & Shine will be back bigger and better in 2019. The event will be held at the Morisset Showgrounds. $10 entry fee per car or bike, gold coin donation for spectators, $50 trade stall fee, $20 for power. We are just wanting to get everyone together for a chat and to show off your ride. There will be prizes for top twenty or more. As well as an amazing raffle. BBQ, Drinks, Coffee, T-shirts, Hoodies and more for sale on the day. Gates will be open at 7.30am for everyone entering the Show n Shine including stall holders. Entry for spectators at 10.00am. We would like to have all cars and bikes setup by 9.40 at the latest please. All money made will be donated to Beyond Blue, so why not come along as it is for a good cause and will be a great day. After a successful hit out at The Bend in October 2018 Historic Touring Cars return as one of the Support Categories with Supercars for 2019. Come along and see 45 Historic Touring Cars from the 60's and 70's battle it out for outright honours on the International Circuit. There will be Mustangs, Minis, Camaro's, Falcon GT's, Cortina's, EH Holden's, XU1 Torana's, Porsche, HQ Holden's and more. Manning Valley Cruzers Mountains to the Sea Street Rod & Custom Car Run celebrates its 17th anniversary this year, with a massive three-day event taking place from Friday 23rd August until Sunday 25th August 2019. Friday welcome and sausage sizzle, registrations, entertainment. Saturday registrations, Show & Shine Queen Elizabeth Park on the river bank Taree, dinner and entertainment, presentation during the night. Sunday farewell or for those who wish to hang around travel to Black Head Bowling Club for Show n Shine and barefoot bowls and lunch. Info Pat 0411 495 527. Cruise to Crows Car and Bike Show is set to rumble into beautiful Crows Nest on the 24th of August 2019. Cruise is an all day event kicking off at 11.30am - midnight. There is something for everyone, with market stalls, food vendors, live bands, bar, dance floor, Pin Up Comp and the kids can run wild with unlimited kids ride wristbands for $10. Not to mention prizes, raffles and trophies to be won including club trophies to most representative car and bike clubs. Camping is available at $10 per site, bookings are essential and must be prepaid before the event. These are unpowered sites but there are toilets and showers in the show grounds. The bar and bands run all the way into midnight so get ya dancing shoes on grab ya lady and burn up the dance floor. We’d love to have you party the night away. Every car/bike entering and registering will receive a show ribbon as our special thanks. Entries are $10 per car or bike and registration can be done at the Cruise main tent inside the arena. All cars and bikes being entered must be in the grounds by 11am for judging and to avoid traffic movement when gates open to the public at 11.30am. The Grafton Motorfest is being held on Saturday 24th August to Sunday 25th August 2019 at Jabour Park in Grafton. All vintage, veteran, classics and customs welcome. Motorfest is the Clarence Valley's biggest Show and Shine event and is presented by the Grafton Vintage Motor Vehicle Club Inc. Prizes for the Top Ten entrants on both days, catering on site, kids entertainment. Come along and check out the cars and talk to like minded enthusiasts. Volkswagen Club of Victoria with support from Victorian German car clubs proudly present GAS 2019. A show for all pre 1990 German marque cars. Gates open 9am. Vehicle entry $10. Held in the Deaf Children Australia's Heritage Building & Grounds, 597 St. Kilda Rd, Melbourne. Cars enter from High street. Public entry gold coin donation to Deaf Children Australia. Peoples choice Trophies for top 5 cars. Food and Drinks available. Kustoms of Australia 4th Annual Swap Meet will be held again at the Yatala Drive-In which is located at 100 Stapylton-Jacobs Well Rd, Stapylton Queensland, only 30 minutes drive south of Brisbane or 30 minutes drive north from Surfers Paradise. No Bric-a-Brac or Craftwork's or Household BS - car and bike related items ONLY, we'd love more bike items this time and we are opening at 5am for both stall holders and the public, so you can get in there and find those hard to get items for a bargain price. We are very proud supporters of of the Gemma's Memorial Walk, for the Isabella & Marcus Pediatric Brainstem Tumor Fund, so please come and help us support this very worthy cause. The Drive-In grounds with 3 huge areas worked a treat last year with onsite parking as well, the perfect place for an event like this, food and drinks available on the day only 10 bucks a stall and 5 bucks to get in, kids free. Bring your pride and joy and park it up to display or sell it if you have too. The gates will open rain, hail or shine. The Jimboomba Auto Extravaganza is hosted by Rods Inc. and is being held on Sunday 25th August 2019 at Hills International College. The Jimboomba Auto Extravaganza features a swap meet and vehicle show. Owners of veteran, vintage, classic, sports, street rods, custom cars, race and drag cars, fast fours and modified vehicles, including bikes, trucks and utes are invited to attend and display their vehicles. Vehicles invited to display will be directed to a special parking area. Vehicles to be judged will pay a fee of $5 and must be onsite by 9am and remain until 12.30 trophy presentation. Entertainment including kids jumping castle on site and catering provided. $5 entry for all adults and children over 14 which includes parking. No extra fee for swap site. Gates open 6am, trade stalls $25. No dogs. Enquiries 0439 314 634. The Gold Coast Street Rodder’s Annual ‘Rods in Paradise’ is back, bigger and better than ever! Come and join us on the Gold Coast just minutes away from local shopping centres, fast food outlets and taverns as well as our famous theme parks. It is recommended to get in early to ensure a great position at the Treasure Island Holiday Park. Three day run with Saturday show n shine at Robina Town Centre. Cool trophies and giveaways, Saturday night dinner. ASRF Sanctioned event SA 90-03-2019. The Singleton High Auto Festival is being held on Saturday 31st August 2019 on the High School grounds from 10am. The day includes Father’s Day markets, Show ‘n Shine, in excess of 100 classic, custom and hot rods and lots to see and do. The 24th Rusty Iron Rally is being held at Macksville Showground over the Fathers Day Weekend 31st August and 1st September 2019. Mid North Coast Machinery Restoration Club invite you to participate in an Australian record for the largest number of vintage engines running simultaneously on Fathers Day. Judging commences 9.00am Saturday. Vintage cars, bikes and trucks parade 11.00am Saturday. Machinery parade 1.00pm Saturday. Parade of all vehicles 1.00pm Sunday. For Market Stalls Applications, contact Peter on (02) 6568 9257. Pioneer Valley Classic Car Club present Dads Day in the Valley on the 1st September in Mirani. This is a unique car show where the main street through the town of Mirani is closed off and invaded by classic, unique and vintage cars, trucks, boats and vans. Give dad a treat on Fathers Day and come along and enjoy a variety of cars on display, stalls for mum and kids activities and rides. Money raised goes to local charities. Chrysler Expo now in its 30th Year is being held at Rocklea Showgrounds on the 1st September 2019. Open to all Chrysler related vehicles. Chrysler Expo is a car show, swap meet, trade display and is open to anything vehicle related. Its Fathers Day. Bring dad along and he can enjoy a range of Chrysler related vehicles from days gone by. Gates open at 6:00am for the swap meet, car show from 8:00am. Please no dogs (by order of the Showgrounds). Swap meet sites $10.00 includes driver & one passenger free. Entry $5.00 per adult with accompanied children free. Car display free (just pay per adult as above), car judging $5.00. To be eligible for trophies cars must be judged (cost as above), displaying your vehicle without judging is free. The All Aussie Father's Day is a family friendly event aimed at celebrating all things Australian, including our love for great cars and what better date then Father's Day -September 1st. Grab Dad and bring your pride and joy down to Lakeside Park- Kurwongbah, for a day of track cruising, track challenge, show n' shine, face painting for the kids, trade stands and Aussie food. It's sure to be a great day out. Cootamundra Antique Motor Club proudly presents the best in the South West Fathers Day Swap Meet on the 1st September 2019 at the Cootamundra Showgrounds. Entry point Pinkerton Road, stall holders enter right of main gate, buyers enter left of main gate. Parts for cars, motor bikes, tractors and stationary engines. Collectibles, plants, garden gear, produce, tools and antiques. Catering on site. Stall holders may set up on Saturday if needed. Outdoor site $15 (6 metre frontage), indoor site $25 (4 metre frontage). Gate entry $5 per day, children under 12 free. For more information contact Lynn and Barry Gavin (02) 6942 1282 or 0488 421 976. Swap will not be cancelled for any reason. The Meteors Hot Rod Association are holding their 2nd Fathers Day Car Show at the Abbey, Gold Creek, Nicholls on Sunday 1st September. Open to all hot rods, classics and chrome bumper cars. All proceeds go to Cystic Fibrosis ACT. Registration on the day $15, before 1st August $10. Rain date 8th September. The Annual Goodguys Rat Rod Day is being held on the 1st September 2019 at the Don Lucas Reserve in Cronulla. Gates open 6.30am. Hot rods, customs, ratrods, bikes and 'old school' vehicles welcome. There will be food and coffee available and entry is free for spectators however we do appreciate a gold coin donation which goes towards 'men's health' type charities and research. Vehicles are only $5 entry (including passengers) with a commemorative decal and are targeted only to specialty / early vehicles (so don't bring your Commodore with mags). Important to note that this is a half day event so make sure if spectating you arrive between 7.30 - 11.00 am as people start leaving for their Fathers Day lunches. Hundreds of the toughest street cars cruising Brisbanes Queensland Raceways V8 Supercar Racetrack. With nearly 20 hours of cruising time will be available on the track from Friday morning through to Sunday afternoon. There will be plenty of time to go out and toast your mate and every other 4-cylinder, 6-cylinder, rotary, V8, supercharged, big blocked, gassed up, turbo charged street car that anyone comes along with. No stopping, no burnouts, no donuts, no drifting and no cutting in or out of traffic, remember this is not a race. The cruise session is to be enjoyed by all the participants, so cruise your car with your mates alongside the toughest streetcars, just like the good old days. Sandy Hollow Motorfest and Swap Meet is back for 2019 and is being held on Saturday 7th September at the Tourist Hotel. Rev those engines and get ready for the race that stops Sandy Hollow. If you have a passion for classic's or have restored a classic car or bike to its former glory, we would love to see your pride and joy amongst the line up - there are even prizes to be won. Food and trade stalls, live band and activities for the kids, it is the perfect day out supporting the Westpac Rescue Helicopter. See you there! The third annual Cars on the Green Car Show is being held on September 7th at the Boorowa Recreation Club. The car show offers 12 categories for entrants with money raised going to Young and Boorowa Mobile Play Group. Entrants cars parked up by 9.30, gates open to public at 10am. Entrants $10 with plenty of fun for all ages. BBQ and market day. Entries and info 6385 3224. The Kilcoy State School P&C Association presents their Show n Shine Family Fun Day on the 7th September 2019 at the Kilcoy Showgrounds, 26 Showgrounds Rd, Woolmar. The day features cars and bikes, showbags, slides and jumping castle. Gold coin entry at the gate, cars and bikes $15 entry for show n shine, $2 for kids category with loads of prizes to be won. Dubs By The River is a VW and Car Enthusist get together. There may be prizes this year. Mostly the day is a great opportunity to spend time with fellow Vee Dubbers and to look at each others cars, relax and have a chin wag. No you don't have to have one just come along and look if you want. It's basically a big Picnic and BBQ with the cars displayed on the lawns. Best of all it's free. Bring your own food or get something from the local takeways. I'll have a big BBQ plate for those who want to use it. The 4th annual Camp Quality Classic Cruise will be held on 8 September 2019 and will start from the Black Mountain car park again this year. Stay tuned on this site for details around the event, a new website and the route to be taken this year. All funds raised will go to Camp Quality, helping kids impacted by cancer. The Salubrious Dirt Drags are being held on Saturday 14th September at the Archer Falls Airfield and features dirt drags, car, truck and a bike show. Vintage aircraft, cars, utes, trucks, bikes, rat rods & customs. Trophies up for grabs. Dirt drags, food, drinks, bar and band ' til late. Info Scott 0417 427 016. Our own annual fundraiser, held on the 2nd Saturday each September, is the Gympie Swap Meet. Having commenced in 1971, it is the oldest continuously running swap in Queensland. The next swap, the 49th Gympie Historic Auto Club Inc Swap Meet And 7Th Car Show will be on Saturday 14th September, 2019 at the usual venue, the Gympie Showgrounds, Exhibition Road, Southside Gympie. The Swap is hosted by The Gympie Historic Auto Club while the Car Show Is hosted by the Cooloola Classic Car Club. No dogs allowed as per council regulations. An ATM facility is available based at the Show Society Office in the showgrounds. Swap bookings can be made with the convenor/s Noel and Annette by phone on 5482 2303 or 0408 708 321. All British Day is being held on the 15th September 2019 at The Kings School in North Parramatta and all British marques and models are welcome. Set amongst magnificent grounds on the oval at the rear of the school this is one of Australia's largest car shows with 1000 plus vehicles on display. Catering on site and held on the same day as the Kings Fair offering entertainment and plenty of options for the whole family. The show is open from 10am until 3pm and there is plenty of parking at a cost of $10 per car. Enter via the main school gates on Pennant Hills Road. Medallions and badges will be availble on the day at the clock tower. Appin Public School P&C Committee are holding its 1st Car, Motorbike and Truck Show to fundraise for Appin Public School on the 15th September 2019. The event will be held on the grounds of Appin Public School. All cars, motorbikes and trucks are welcome to show and enjoy the day. The Veteran Car Club of Australia (Queensland) is hosting the 2019 National Veteran Vehicle Rally in the delightful seaside town of Bargara, just a few easy rural miles from Bundaberg. Baskerville Historics is fast becoming one of Australia's leading historic events. With amazing spectator views and a challenging layout for competitors there is something on offer for everyone. The 2019 Event is shaping to be the most epic yet, with competitors from right across Australia expected for the event, combined with off track celebrations for the 60th anniversary of the Mini it’s going to be a huge for Mini competitors and enthusiasts alike. The Australian T-bucket Nationals and Fashion Pageant is being held on the weekend of the 21st and 22nd September 2019 at Club Menangle. This is an event open to T-Buckets, hot rods, customs, late models cars, classic cars, bikes, choppers, trucks and boats. Also incorporating the Jenna Mcluckie Pinup Pageant. This is a two day event, ASRF Sanction# S19/40. The Queanbeyan Swap Meet is a well established Swap Meet that has been running for many years. The Swap Meet is run over two days, last year there was approx.500 sites, and goods sold ranged from all eras of car parts to collectables, books, magazines and antiques. Site holders travel from all over Eastern side of Australia to sell their goods. Over the course of the weekend the event draws many thousand people through the gates. The Swap Meet is an important social gathering for sellers, collectors and car enthusiasts and the car shows always attract more buyers. Kingaroy 2019 is being held on the 21st and 22nd September 2019 at the Kingaroy Airport and will feature International. Everything including cars, trucks, bikes, stationary engines, steam engines, tractors, crawlers and vintage machinery welcome. If you don't have a International piece of iron then be calm and bring what ya got. Grand parades each day, no charge for exhibitors, camping or hot showers, non exhibitors pay a small camping fee and $10 entry. Catering on site. Info Justin 0438 623 431. The Cooroy Swap Meet is being held on Sunday 22rd September 2019 at Johnson Park, Mary River Road, Cooroy. Swap traders entry 6am, public entry 7am - 12pm. Swap site cost $10 per swap site (car plus 3 x 3 site). Public admission for lookers $5 per adult, kids under 12 years free. Big 3 Car Show incorpating the American Car Nationals is being held in Queanbeyan on Sunday 22nd September 2019 from 10am to 3pm. Open to all makes and models of Ford, GM and Chrysler vehicles – Australian, American, European, British and all USA vehicles. The event is run in conjunction with the Queanbeyan Swap Meet. Entrant’s cars can enter the showground display area from 8am. Judging starts at 10.30am, car show entry $4 per person. No additional cost to enter your car in the show. Pre entry not required, just enter on the day. 2019 American Car Nationals are being held as part of the Big 3 Car Show on Sunday September 22nd from 10am to 3pm at the Queanbeyan Showground. All Ford Day South Australia will be held on Sunday 22nd September at Bonython Park. Gates open to entrants at 7:30am, public at 10am, closes at 4pm. *Early-bird entries close 25th August 2019 (Entries not yet open). Entries received after early-bird will not be eligible for judging and are subject to a $10 surcharge per vehicle. Sorry no dogs allowed (assistance dogs excepted), EFTPOS not available at the gate. The Eliminators Hot Rod, Car and Bike Show is being held on the 22nd September 2019 at the Beenleigh Showground from 6am till 2pm. Swap meet from 6am, car show from 8am. Open to hot rods, American cars, muscle cars, street machines, competition cars, restored, customs and classics. Display cars must remain on oval until noon. Enter on the day. Top ten trophies, trade displays, vintage gassers, low brow art show, fully catered, live music, no BYO or dogs. Free parking via Milne Street. ASRF Sanction SA 117-04-2019. The HKTG Holden Nationals are being held on the Sunshine Coast on 27th to the 30th September 2019. Celebrating the 50th anniversary of the HT Holden. It's the world's worst car show, or more correctly a show of the world's worst cars, and despite all efforts, it’s slipped past our border security and immigration controls, and is heading to Adelaide, South Australia for a third time in 2019! Concours d’Lemons, certainly lives up to its slogan of “celebrating the oddball, mundane and truly awful of the automotive world”, and even goes so far as to thumb its nose at conventional shows by openly encouraging the bribing of its celebrity judges. Open to vehicles of all types, the Adelaide public will be subjected to some zany examples of questionable engineering and roadworthiness, as owners fall all over each other to win $2 recycled trophies in categories such as “Needlessly Complex Italian”, “Rueful Britannia”, and “Der Self-SatisfiedKrauttenWagen” to name but a few. The low-point of the day, will be the public humiliation of the winner of the “Worst of Show” award, presented by our zany host, American journo, Alan Galbraith. Billetproof is back for 2019. The USA's favourite show for traditional style hot rods, customs, lead sleds, choppers, cafe racers and old skool drag cars is about to take over Torrens Parade Grounds, right in the heart of Adelaide, for the second instalment of this great show. Best of all? Its free to bring your ride out for a day of fun. We'll have food vans, all sorts of entertainment for the family, and a whole bunch more. The Temora Car, Bike, Truck and Tractor Swap Meet is being held on Saturday 28th September 2019. Friday set up from 4pm, overnight stays $15, lookers $5, swappers $15 with gates opening at 6am. Info Les 0417 296 865. Start at Civic Park, Modbury. Veteran vehicles (pre-1919) and military vehicles manufactured up to December 1959 are encouraged to start their run there. Vehicles will arrive at the park from 6 am and be waved off from 8.30 am. They will be arranged in special displays along with the military vehicles exhibited in commemoration of the centenary of the Great War. There will also be children’s entertainment and local community groups providing breakfast. The alternative start in Modbury is optional. If entrants with veteran and military vehicles wish to start at Barratt Reserve they are free to do so. Model T Owners Qld Inc. (MTOQ) are proud to be hosting the 2019 Model T Ford National Tour from 29th September 2019. The venue for the Tour is the hidden gem of Maryborough on the beautiful Fraser Coast, a few short hours’ highway driving north of the Gold Coast. All Model T enthusiasts are invited to join us for a week of crisp country, beautiful beaches and heavenly heritage. The ACT Holden Day will be held on Sunday 29 September 2019 at the Queanbeyan Showground and is hosted by all the Canberra based Holden Car Clubs. The event showcases Canberra and the regions Holdens. From concourse to modified. Barn find to elite every taste is catered for and with a new venue this years ACT Holden Day is set to be huge. Rum City Rods & Customs are holding their Bargara Beach Rod Run from Friday 4th October to Monday 7th October 2019 and the event is open to all ASRF class vehicles. The event centres around Nielsen Park at Bargara and this years theme is Lifes a Beach. The club is dedicated to the constructing, showing and enjoying street rod and custom vehicles. ASRF Sanction# SA 109-01-2019. Regency Ramblers Rod and Custom Club are holding A Country Weekend in Temora Rod Run on Thursday 4th October to Sunday 7th October 2019. Event includes welcome dinner Friday evening, driving events, street cruise, entertainment Saturday night, dinner and dance Sunday night and a bacon and egg breakfast Monday morning. Trophies, live band, evening street cruise, show n shine so join us for a fantastic weekend of fun and festivities. Contact Graham 0433 250 200. ASRF Sanction# S19/13. For the fifth time Narrandera is holding a 50’s & 60’s Rock n Roll Festival on the long weekend 4th to the 6th October 2019. This festival will consist of everything related to the 1950’s & the 1960’s Rock n Roll era. 50’s & 60’s music, dancing in the street, live bands, vintage fashion, pre - 1969 clasic car display, bike display, retro caravan display, retro market stalls, buskers, children’s amusements, movies at the theatre, street parade, competitions and lots more. There will be plenty to see and plenty to do, so remember to book your accommodation early to avoid disappointment. We are happy to announce Street Machine Supernats will be celebrating it's 25th Anniversary at Mallala Motorsport Adelaide 4th-6th October with a great line up of events and categories. Events include burnout comp, super skids, go-to-whoa, off st drags, cruising the track, show & shine, the super truck show with custom bikes on display. The Old Bar Beach Festival is an annual community event that has grown to attract more than 30,000 people each year. Classic speciality car show n shine on Saturday 5th October 8am to 4pm with the Kombi Parade on Sunday. Classic, vintage, veteran, customs, hot rods, bikes and more. The Kombi/Transporter swap meet Australian record attempt is one of the major highlights of the festival. The number of Kombi's that arrive at the festival has steadily increased over the last ten years due to the support of many Kombi owners who now have made the festival an annual pilgrimage. For Kombi owners this festival is a place to meet and share their passion for their beloved buses with like-minded Kombi enthusiasts in a relaxed and festive atmosphere suited for the whole family. The Sporting Car Club of SA are holding the Vintage Collingrove Hillclimb in the Barossa Valley on the 6th October 2019. A field of interesting cars, guaranteed fun. All members and friends are urged to come along and enjoy the friendly picnic atmosphere of this traditional event. Gates open at 9am with competition starting around 10.15am. Vintage and classic motorcycles will parade during the lunch break. SCCSA carded members free. Info (08) 8271 5689. One of Australia's top Show and Shine events is being held on Sunday 6th October 2019 at Seven Creeks Park in Euroa. Family friendly, and the absolute best value-for-money entertainment available. Vintage, veteran, classic and modified cars, bikes, trucks, tractors and more. Back again is the annual Car and Motorcycle Show N Shine For Brain Cancer taking place at Keith Stephenson Park in Mount Barker. The event kicks off from 9 am on Saturday the 12th of October. Free entry for spectators. Every make and model is welcome, if you think it’s show n shine worthy bring it along. $15 per show n shine vehicle (car or motorcycle), every entrant will get a free Cure Brain Cancer Foundation bandanna. Come along as a club or a single. Not only will there be a show n shine but the event will also feature over 80+ market stalls, family fun day, food and drink vendors, prizes, giveaways, live music, entertainment and much much more. It's almost that time of year again for sun and fun at the TCCVC swap meet and show and shine, this event is getting bigger and bigger every year with 100's of cars of all shapes and makes and a swap meet that fills the paddock with must have collectables and parts. Swap meet starts at 7am and cars in by 10am at the latest for presentation at 12.30pm. $5 per person, kids under 12 free. Food and drinks on sale Saturday night and all day Sunday. Camping Saturday welcome. Anyone wants swap meet site they are $15 per site, contact Nathan 0499 733 400 or Joe 0411 025 833. All Euro Day is on again for the 4th year bringing you Adelaide's finest performance, classic and rare/exotic European cars. Event is being held on Sunday 13th October 2019 at Wigley Reserve and kicks off at 9am. The Waterhole Rocks Campout Weekend is a Rock n Roll, Car and Vintage Caravan Show and Shine weekend, held in conjunction with our local car club, The South Burnett Gas Guzzlers. Now in its 8th year the 2019 Waterhole Rocks continues to grow each year. The dates for 2019 are 16th to the 20th October. We have a great line up of artists to help you get your fingers tapping and body rocking. There will be dance lessons through out the weekend. On the Saturday morning there is a mystery Car Cruise, more Rock & Roll music and dancing. At 5pm we have our fashion competition followed by another great band. If a trip down memory lane is what you seek most then be sure to make time to view our Vintage Car and Caravan Show on the Sunday. The weekend is always packed with plenty to see and do. Canteen and bar facilities are open all weekend and both powered and non powered camping is available. If you have a rock n roll or car related business and would like a stall at our weekend please email waterholerocks@outlook.com outlining your products. ASRF sanction SA 135-06-2019. The Gippsland Vehicle Collection invites you to our Maffra Motoring Meander on Saturday 19th and Sunday 20th October 2019. Open to all vehicles over 15 years of age. Not a competition but a leisurely drive/ride through Gippsland over two days, or a one day section if you choose, fully catered and accommodation packages available. Info 0428 456 614. The Australian Performance Nationals – OZ NATS Adelaide will be back again in 2019 at the famous Adelaide International Raceway. This is a one day event and entries will again be capped at 100 cars total, so there will be plenty of track time without overcrowding. OZ NATS is an action packed event that brings a wide variety of performance and show cars together for a huge day of fun and competition. There will be burnouts, drags (heads up drag racing on the iconic air drag strip! ), super skids, go to whoa, cruising and Show & Shine. OZ NATS is a family friendly event with something for everyone. There will be kids entertainment, trade stands, car displays and on lots of on track action. This is a one day event running into the night (9am-10pm), finishing under lights with a special burnout show with some of the best burnout cars in the land. Repco Tumut is putting on another show this year called Motor Mania and it is being held at the River Glade Caravan Park, so we have ample space to fill this time round. Show n shine, food stalls, product displays, cars and bikes, trophies, show bags. Anyone wanting to enter feel free to give myself or Justin Mcpherson a call at the shop on 64973266 or drop in and fill out an entry. Entries will close 4th of October. The Tatura Show N Shine is being held on Sunday 20th October 2019 at the Tatura Racecourse. Fun-filled day for the whole family. Cars, bikes and trucks on display. Trophies awarded over several categories. No BYO. Stationary engine display, SES demonstration, kids entertainment, food, coffee and ice cream. Harrigans Rod And Custom Show is being held on Sunday 20th October 2019 at the Harrigans Irish Pub at Calypso Bay. Open to all Hot Rods, Street Machines, bikes and special interest vehicles. Come along and admire the passion that enthusiasts have for their vehicles. Entertainment for the whole family in a great relaxing location. $5.00 adult and children under 14 free accompanying paying adult. Damfest is a community event proudly presented by Warragamba Silverdale Neighbourhood Centre Inc and features a huge car and bike show so bring the family and come along and enjoy the day. The day features a car and bike show and a swap meet in the morning. Vendors set up from 2pm Saturday 19th. Swap sites $20, free entry for spectators. Plenty of rides for the kids, entertainment for the whole family. Holden Commodore SS Fan Club presents the Australian vs American muscle car showdown. Consisting of 150 selected cars from Holden, Ford, GM (non Holden), Dodge and Chrysler/Valiant. New and old cars, coupes, sedans, utes, wagons and anywhere in between. We want it all, but we want the best. With an even mix of Australian and American cars, this show and shine will appeal to a wide crowd of people. Public admission 10am till 3pm. $25 entry per car. Spectators and passengers free. Entrants from 8:30am-9:30am. We advise that entrants be on time, as cars will need to be positioned and once positioned can’t be moved until the end of the show. On July 1st, entries open for the event, however all entrants are subject to a selection process. To submit your entry, email us at holdencommodoressfc.yahoo.com Entries close August 1st. This is a judged event. Trophies for each category and style of car and many other prizes to be given away during the day. Free Drinks for all that attend. Food Van’s will be present on the day. Traders/ retail stalls. Entertainment all day long. Family friendly. The 2019 Victorian Monaro State Titles are being held at Cheltenham Secondary College on Sunday 20th October 2019. Gates open at 7:30am for display cars and must be parked before 8:30am. Gates Open to Public 9.00am. Pre-registration is required as no entry for judging will be accepted on the day. Entries close on 13th October 2019. There will be 6 judging classes split into 24 categories; HK to HG, HQ to HZ, and V2 to VZ. Judging entry $25, display cars $10, public entry $10, children under 18 free. On Sunday 20th October 2019 there will be a show & shine at Speers Point Park, Lake Macquarie. All types of vehicles welcome including muscle, custom, hot rods and bikes. Free entry to show & shine cars, no paperwork, no pegs in ground. Main gate open 7:30am – 9am only, exit 2pm – 3pm only. Watch the super boats race Sunday on Lake Macquarie and check out the cars on display in Speers Point Park. Music, stalls, food, coffee and soft drinks available. Show & Shine trophies and lucky car prizes. Entry for display vehicles through the main gate in Park Road opposite Swimming Pool. All other vehicle and general public parking in the normal car park west of the Swimming Pool. Enquires Bill Kalb NRVC 0428 465 057 or Ken Barrett 0402 603 655. This is your chance to be part of an event that includes side by side action in events such as Go To Whoa, Autorkana, Show N Shine, Dyno Challenge, Cruise Track and the fiercely competitive Burnout Title. All our events promote a true family atmosphere where spectators are able to enjoy the enthusiasm and excitement of a motor vehicle event in a friendly environment. All categories of vehicles are welcomed whether restored, classic or modified. Only 100 burnout entries so don't miss your chance to skid on one of the country's largest pads. Two days and two nights of none stop action. Entry Forms available at www.autofest.com.au and are also out for the Show N Shine and other driving events. ChromeFest will celebrate its 11 year anniversary in 2019 and is on from the 25th October to the 27th October. Chromefest started with 80 cars on display four years ago and is now up to 500 cars on display. This event is a tribute to classic American autos, hot rods and rock & roll over the three days. The atmosphere is electrifying with three stages full of rock n roll music, dance floors, retro stalls, fashion parades, dance off competitions & Miss Pin Up Doll Australia final. Sunday is the massive show and shine where not only the guys and girls are looking their best but so are the cars. Info Janet 0429 508 355. The Jamberoo Car Show and Family Day is being held on Sunday 27th October 2019 at Jamberoo Oval in Churchill Street. Vintage, classic and modified cars welcome with donation to cars on display. Public gold coin donation. Entry 8-9am. Sausage sizzle, coffee and refreshments. Kids entertainment. Raising funds for the Jamberoo Red Cross and Rural Fire Service. Info Steve McBride 0414 387 963. Presented by the Adelaide Datsun Club on Sunday 27th of October from 10am at Wigley Reserve at Glenelg is Datsuns at the Bay. Open to Datsun badged vehicles only. Entrants $15 per car. Blow the dust off your Datsun and come and join some of the nicest cars Adelaide has to offer. Free entry for spectators. Food vans available, the Shannons Big Rig truck, plus a bouncy castle and playground to keep the kids entertained. Unfinished projects are more than welcome and we encourage you to bring them for inspiration and to show off what you are building. Door prizes for entrants on the day. The event is open to the public so if you don't own a Datsun but would like a great family day out this is the place to be. Bring the whole family and enjoy the show, plus everything Glenelg has to offer! Rocky Cape Lions Club presents Top Gear at Rocky Cape on sunday 27th October 2019 at the Rocky Cape Tavern. Combined car, bike and trick show and swap meet. Cars, Bikes and Bands is being held on Sunday 27th October 2019 at the Symmons Plains Raceway and is open to all cars, utes and bike's. Vehicle display, car and bike show and shine trophies for top 5 cars and top 5 bikes by peoples choice. Live music, jumping castle, kids entertainment, radio controlled cars, kite flying, vintage go carts, race car simulators, trade stand and food trucks. Vehicle entry before 9.30am. Open to general public 10am onwards. Driver entry free, public $10, kids under 14 free. Free parking, presentations at 3pm. Proudly supporting Variety. No pets or alcohol. 20th Anniversary running of very popular Show 'N Shine coinciding with the Snowy Ride. Caters for old, new and in-between cars, large trucks, machinery, hot rods, tractors, stationary engines, motor bikes, boats, muscle cars and military vehicles. Also trade displays, art, a kids colouring competition & photography, music and plenty of outstanding food choices. Motorfest links up with the annual Snowy Ride which is passing through Cooma on the day. Snowy Ride participants will be welcomed at the Motorfest where there will be a designated parking area for their bikes. As in previous years, it is anticipated that Motorfest will be a major stopover point for the riders and bikes taking part, with an anticipated over 1000 bikes checking in on the day. The Lake Mulwala Rod Run 2019 is being held on the 8th, 9th and 10th November. 1965 and earlier, rodded, modified and classic vehicles eligible. Blatantly un-roadworthy and temporary permit vehicles not eligible. Proposed itinery Friday cruise the beautiful twin townships of Yarrawonga and Mulwala, entrant registrations at Yarrawonga Football Ground, situated in Yarrawonga Holiday Park, Piper St, Yarrawonga. Sausage sizzle and drinks at Mulwala Ski Club. Saturday registrations. Poker Cruise begins visiting local businesses and attractions. Dyno, vintage speed boat display, Nostalgia Drag Meet, ladies high tea. Exclusive entrant cruising along Belmore Street between McNally St & Witt Street roundabouts. Dinner at Yarrawonga Golf Club, Rock & Roll dance out the front of the Town Hall, Belmore Street, live entertainment. BYO drinks, nibbles. Sunday Super Sunday Show & Shine, trade stands, Dyno, children’s entertainment, rock & roll fashion parade. Music, top 10 presentations, raffles, and giveaways, departure dinner @ Bundalong Tavern. The weekend focuses on car enthusiasts from across Australia, attracting the owners and lovers of many and varied pre 77 automobiles along with their families. It is action packed with something for everyone. There is a show n shine, street cruising, a poker run and a rodders cruise. Live music every day, a carnival with side shows, trade stalls, and markets on both Saturday & Sunday. The 43rd National Chevy Festival is being held in Renmark South Australia on the 8th till the 11th November 2019. Hosted by Chev Performance Association of SA Inc. in conjunction with Tri Five Classics Association Inc. For further info call Paul 0411 676 884 or Al 0402 855 129. Wheels For The Firies Car Show is being held on Sunday 10th November 2019 at Eltham College, 1660 Main Road, Research from 9am. Wheels for the Firies is a fundraising event for the Research Volunteer Fire Brigade. We welcome all make and models to this car show. The Rover Owners Club Annual Display Day is being held on Sunday 10th November 2019 at Linnwood House, 25 Byron Rd, Guildford from 10 am to 4 pm. The Adelaide Auto Expo is Adelaide's premier motoring event featuring 100's of cars, motorbikes, traders, show n shine, bikini comp, cruises, hot rod show and Aussie muscle cars. Show N Shine entry fee for your car in this event is only $40. You receive a goody bag, 2 tickets to the show, free car parking and the chance to win 30 trophies. The best value Show N Shine in town. Friday night 15th November 2018 – 5pm to 9pm, Saturday 16th November – 10am to 8pm. Tickets available at the gate. Children 13 and under free. The Geelong Revival Motoring Festival is an action packed motoring festival, held on Geelong’s picturesque waterfront, is an event not to be missed! Take pole position for the historic quarter-mile sprints, as 300 classic and exotic cars and motorcycles sprint down Ritchie Boulevard at full throttle. Join us in the park for the Revival Hillclimb. The Geelong Waterfront will be covered with over 600 quirky, valuable and fascinating vehicles that are guaranteed to please anyone with an appreciation for unique vehicles. We kick off celebrations with the Friday Night Cruise, featuring over 600 vehicles, as we prepare for a huge weekend of motorsport. If cars and motorcycles aren’t enough to get you excited, classic boats and vintage aircraft will also be on display, so make sure you look to the seas and sky! Take a step back in time into our vintage lifestyle zone featuring live music, trade stalls, delicious food and entertainment. The All Asian Day at Lakeside Park is open to all Asian built vehicles. The day includes over three hours of cruising throughout the day, Show n' Shine, Sprints and kids entertainment! If you have an Asian beauty bring it along for a great family day out at Lakeside Park! It is also our last cruising event for 2019, so don't miss the opportunity to hit the track. Hotrod’s and Classics Picnic is held in the picturesque Adelaide Hills town of Balhannah on Sunday 1st December 2019 from 8am. The Hot Rods & Classics Picnic is hosted by SSSR (Southern State Street Rodders). South Australia’s Koolest Kar show featuring plenty of cool rods, customs, U.S. cars and classics. This year marks the 44th anniversary of Terribly British Day making it one of the longest running annual motoring events in the ACT region. Terribly British Day is co-organised by the Triumph Car Club and Southern Tablelands Heritage Automotive Restorers Club (STHARC) and the British marque clubs of Canberra and the region. $5 entry fee – proceeds to charity. The Adelaide Rally is being held on the 4th December to the 7th December and is hosted by the Adelaide Motorsport Festival. A four day tarmac rally located in Adelaide, the Adelaide Hills, Fleurieu Peninsula and McLaren Vale regions. Open to modern and classic vehicles in competition and touring categories, there is a category to suit just about every car and driver. The 2018 Rally was the largest tarmac rally event in Australasia, with more than 300 vehicles taking part. In honour of Kenny "Bigwheels" Jager, Verong Vittles and Maloo Owners Victoria proudly presents Hamburger & Holden Day 2019, featuring all classic cars on Sunday 8th December 2019 from 12.30-4.30pm. All Holdens welcome, all classics welcome. If you have a Holden or any model or make classic car then bring it down and show your support for a great cause. We would love to see you and your cool classic displayed alongside our all time favourite, Holden/HSV. This event is to raise awareness for a growing problem amongst our young men, so the more the merrier, and who doesn't love a classic, Kenny sure did. This year we have more trophies and prizes than ever before. We have added 2 more categories, Best Club Display & Best Classic Car. This is a family friendly event and proudly supports the Love Me, Love You Foundation, bringing awareness to men's mental health and suicide in regional areas. Drive and display with us and help support a great foundation doing even greater work. Hope to see you there. The Kustom Nationals is the Holy Grail of the kustom car movement in Australia, when once a year the stage is set for all lovers of modified vehicles to come together to witness the latest offerings of the kustom car kulture, from mildly kustomized cruisers to krazy kustoms. The Kustom Nationals is the means to help you express your view of automotive art, with representatives from top national and international magazines as well as auto related television shows present to broadcast our kustom lifestyle to the world. Event is at Cole Reserve on Cumberland Road (cnr Kent Road) Pascoe Vale. $15 entry for Cars. $10 entry for Bikes. Gates open 8am. Judging starts 10am. Registration closes 12pm. Trophy Presentation 2pm. Gold coin public entry from 10am. $100 Voucher lucky door prize eligible for all vehicles in Event. To be drawn after Presentations. Both owner & vehicle must be present to claim prize. (must show vehicle no.) There is no pre-entry. Enter & register on arrival at event. Entry form handed out on arrival at gate (gate is on Cumberland Rd). Open to all Veteran, Vintage, Classic & Modern Cars and Motorcycles. Over 60 trophies on offer including best overall car and bike. Larger categories have extra trophies. Trophies for vehicles of specific models and years plus also best Club Display, Ute, Panel Van, Rat Rod, Hot Rod, Customised, Street Modified, Original/Unrestored, Convertible & Sports Car. Also trophies for American, Japanese, European & British vehicles. For motorcycles there are trophies for American, Japanese, European & British bikes. There will be plenty of activities to keep the whole family entertained including a live band and multiple kids' activities including jumping castle. Also a bbq catering for breakfast & lunch, coffee van, ice-cream van, canteen & bar. Non food stalls are $50 and must register details prior to event. © 2007 Copyright www.classiccargurus.com.au A Classic Car Directory.